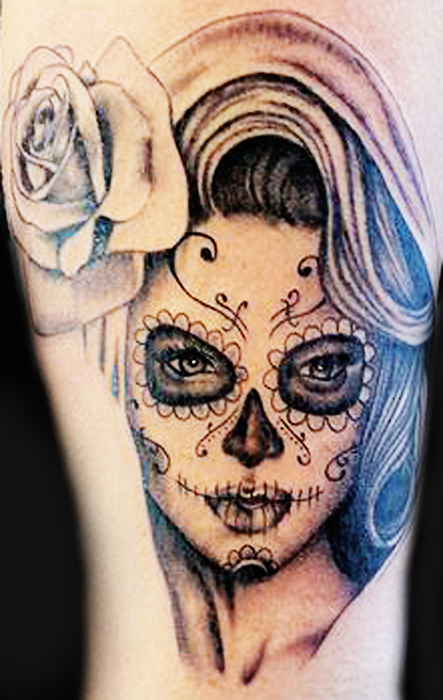 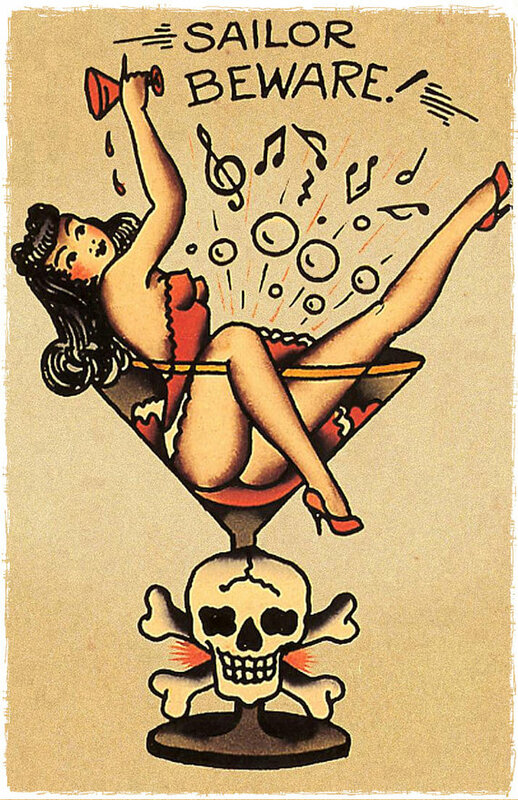 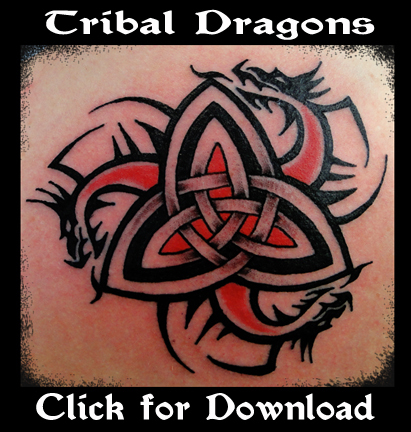 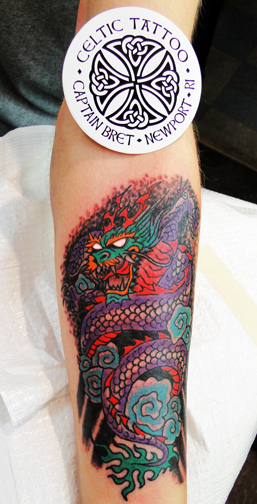 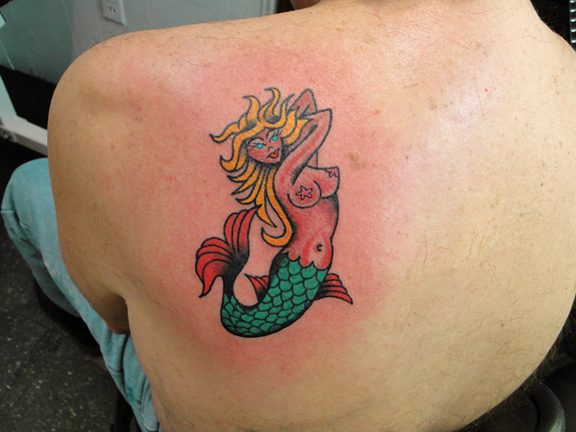 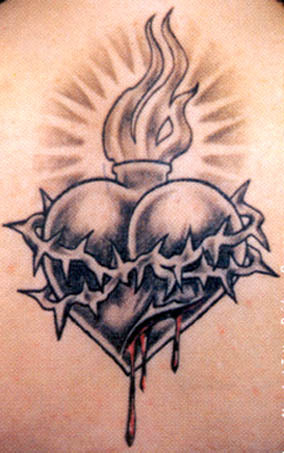 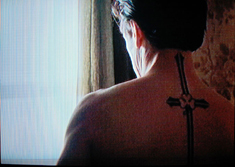 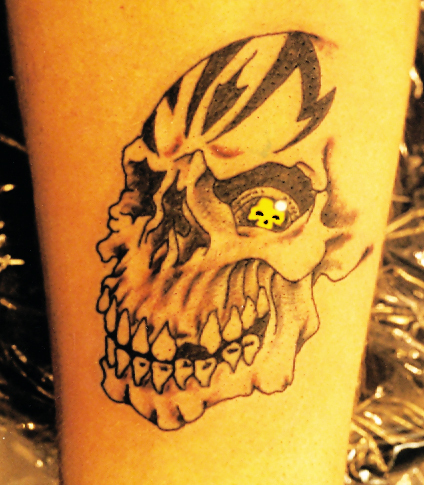 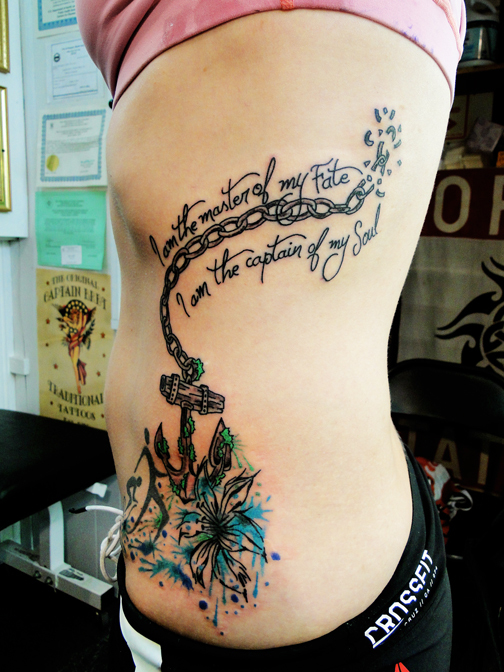 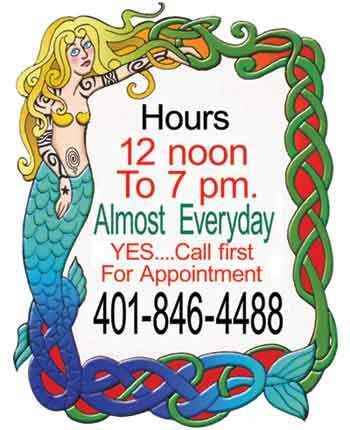 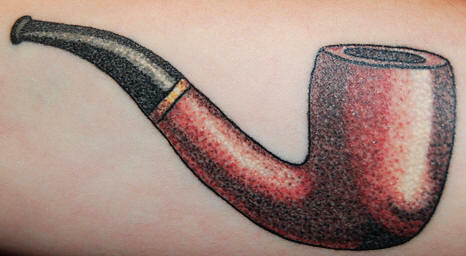 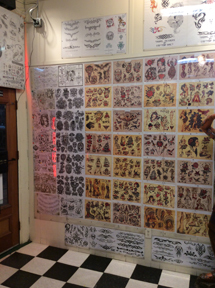 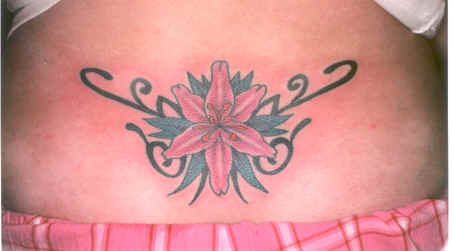 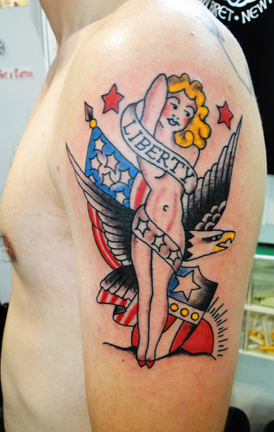 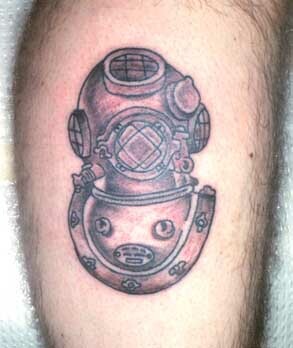 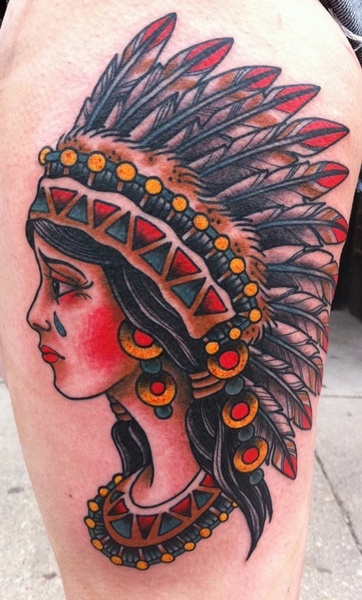 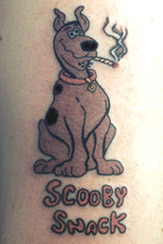 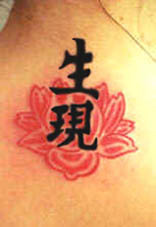 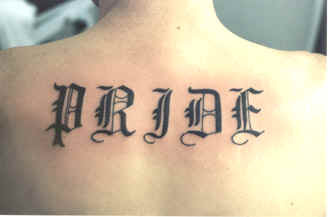 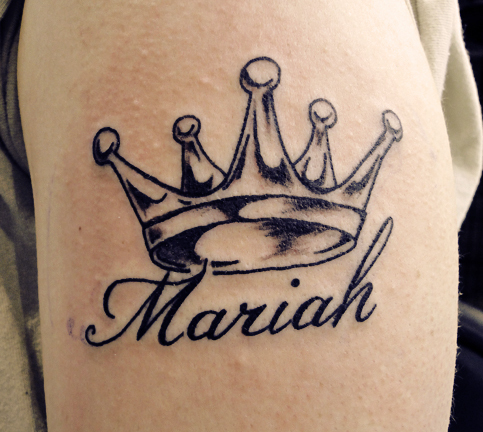 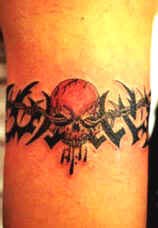 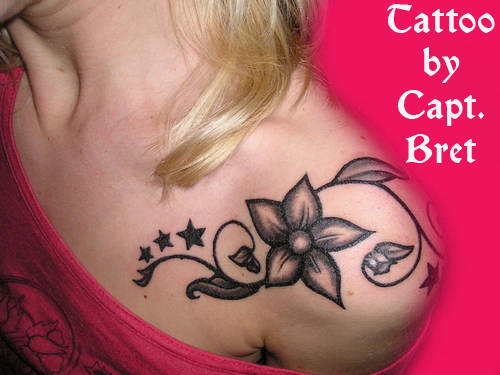 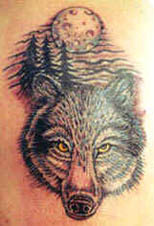 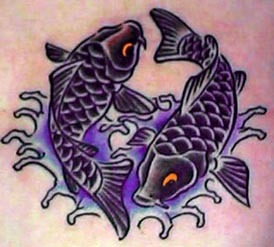 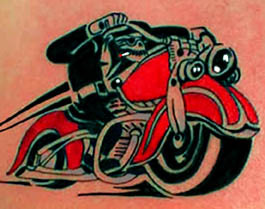 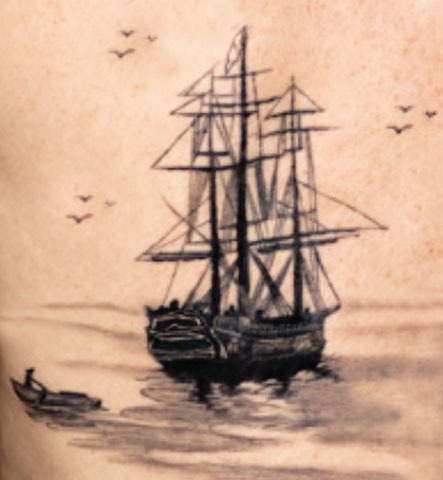 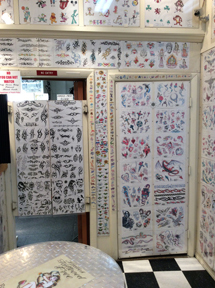 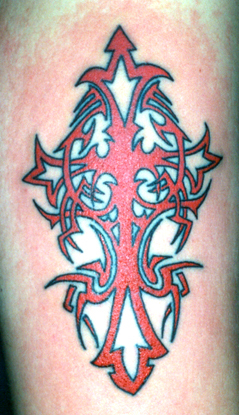 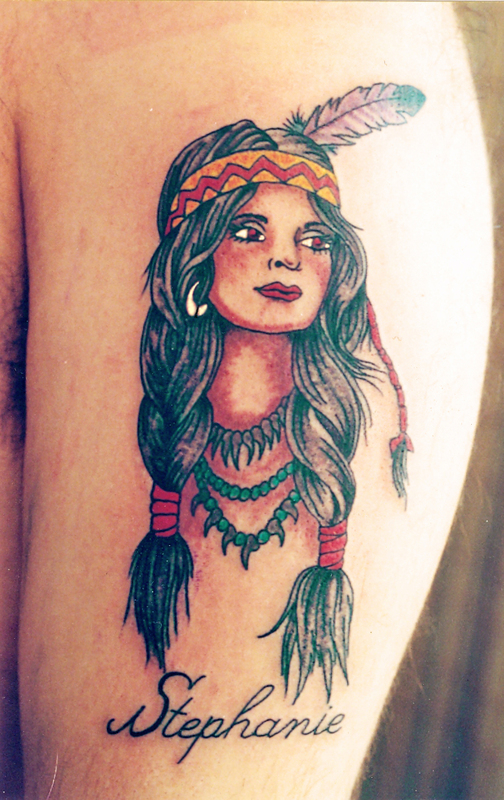 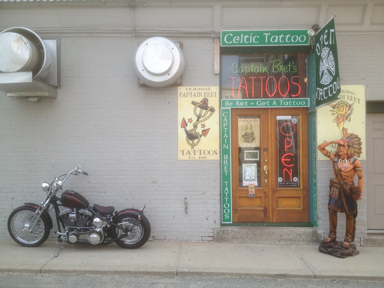 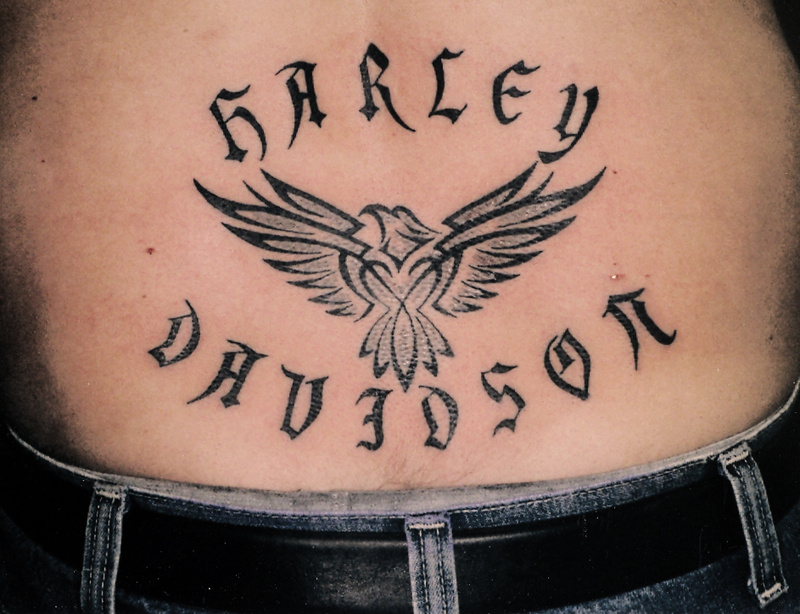 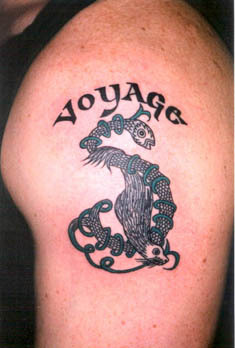 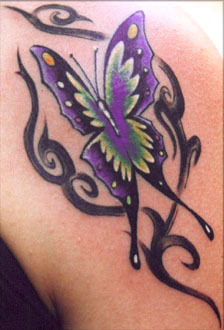 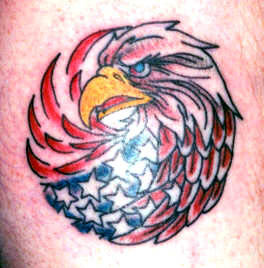 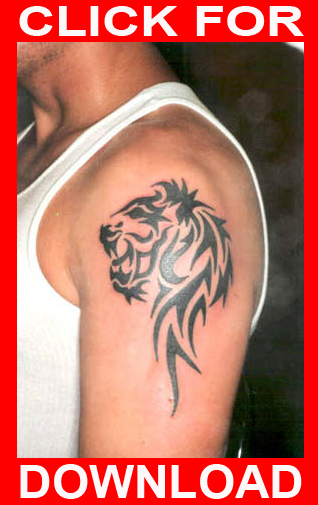 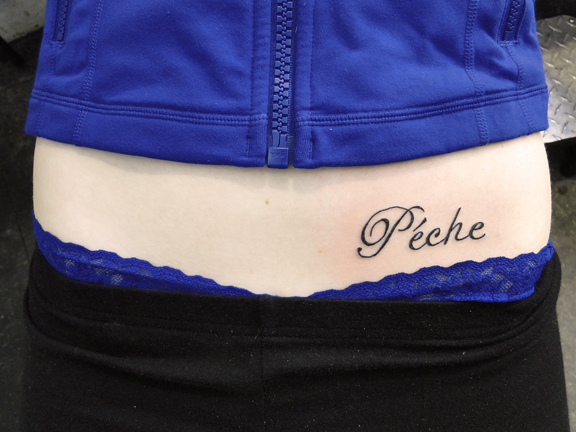 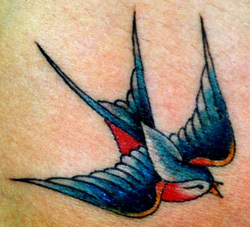 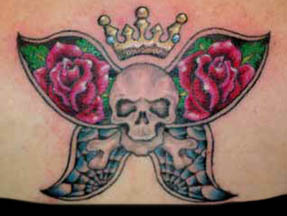 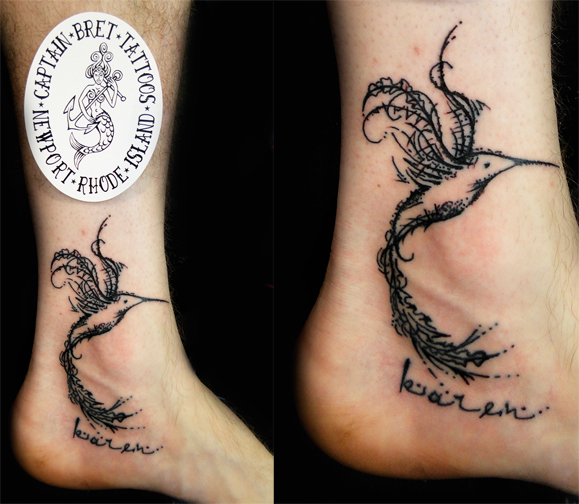 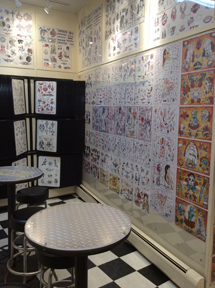 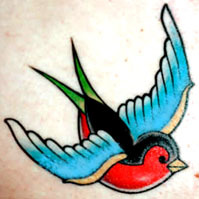 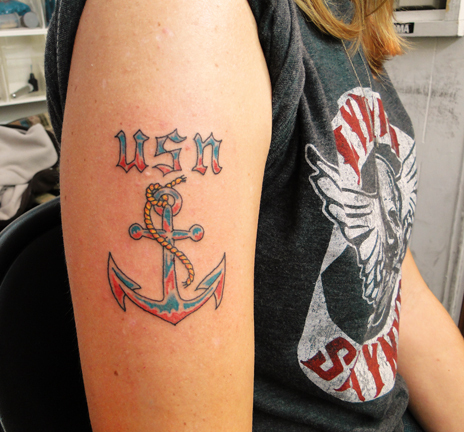 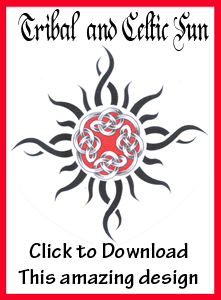 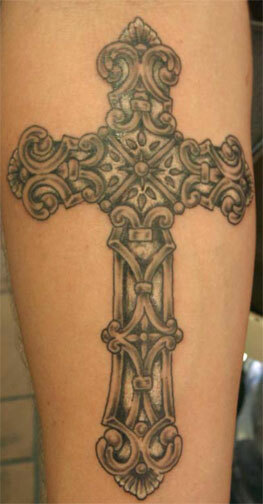 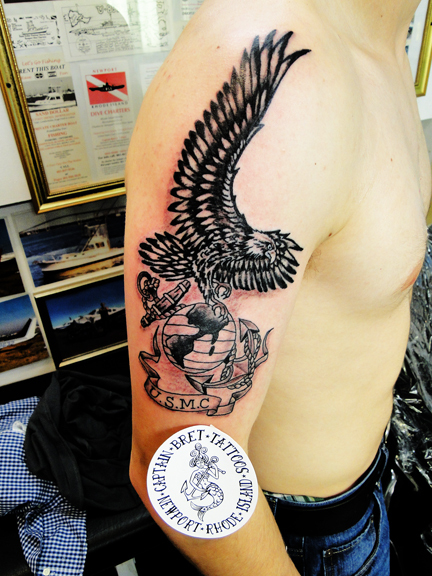 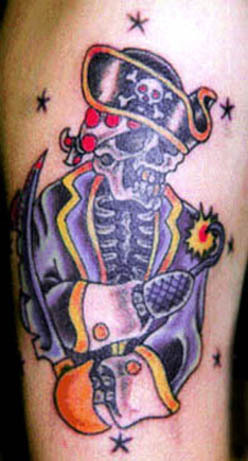 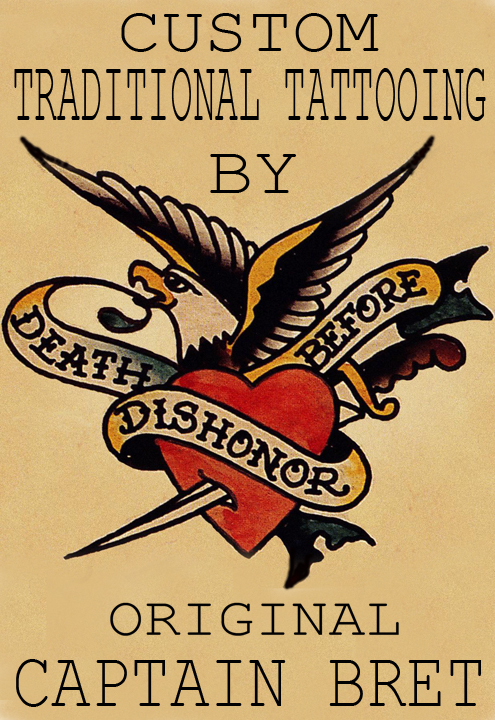 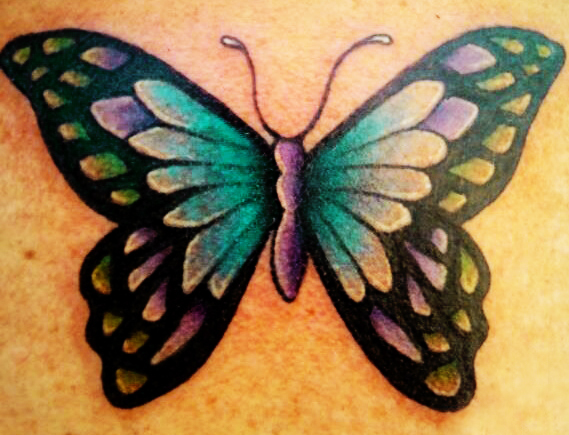 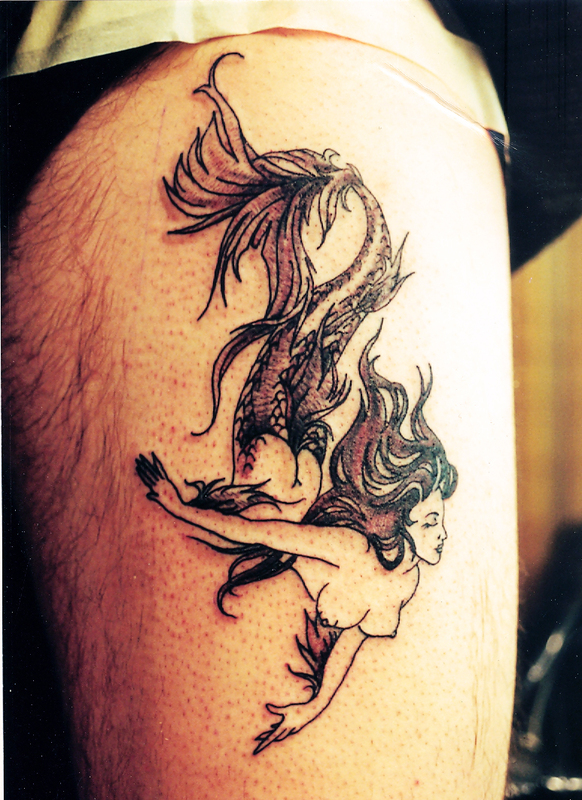 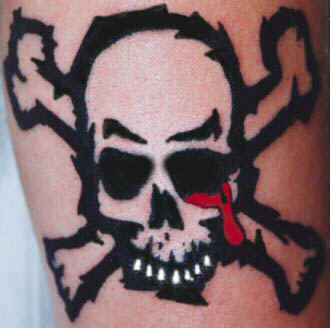 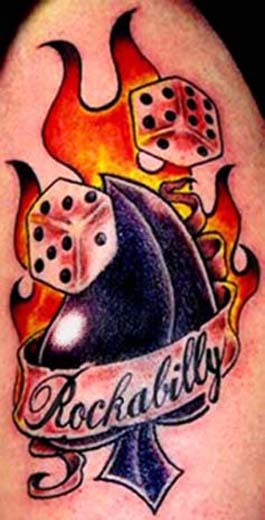 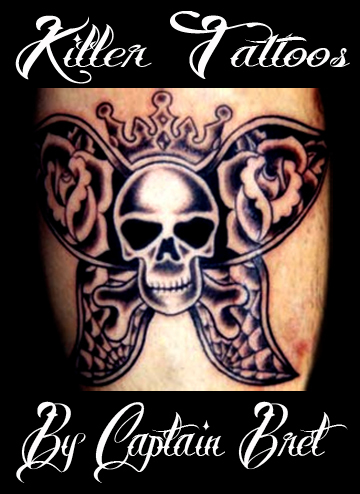 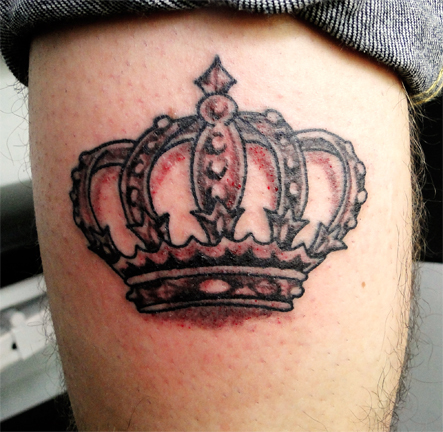 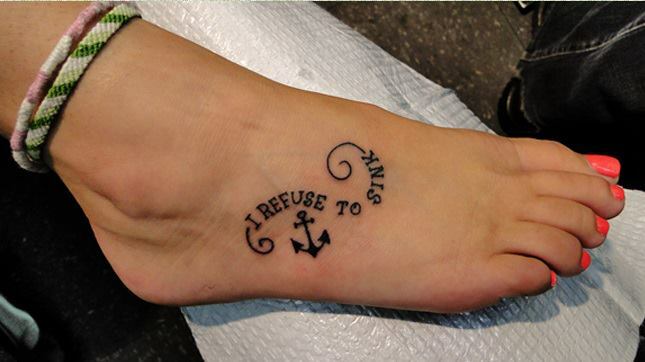 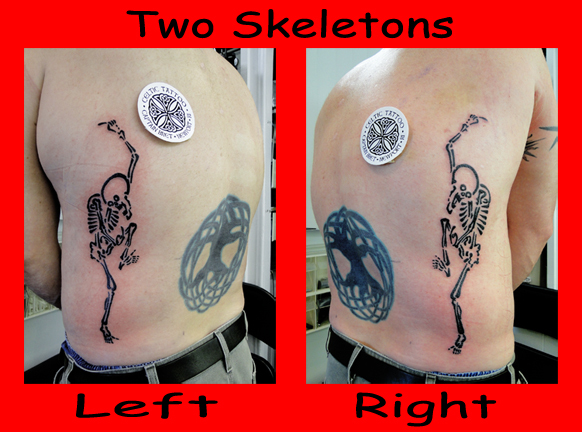 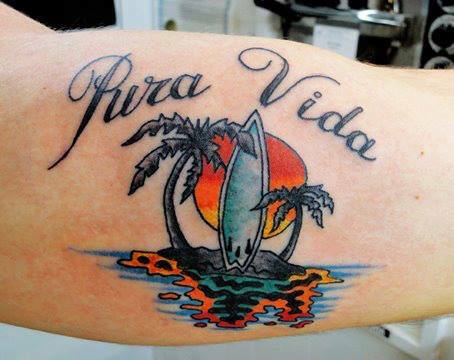 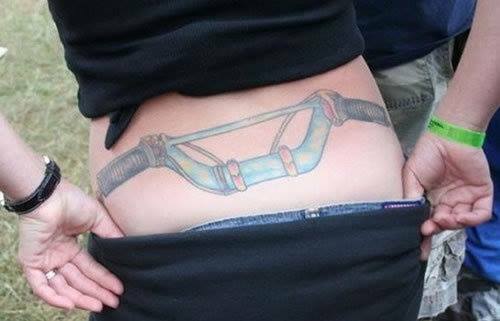 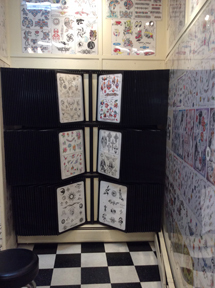 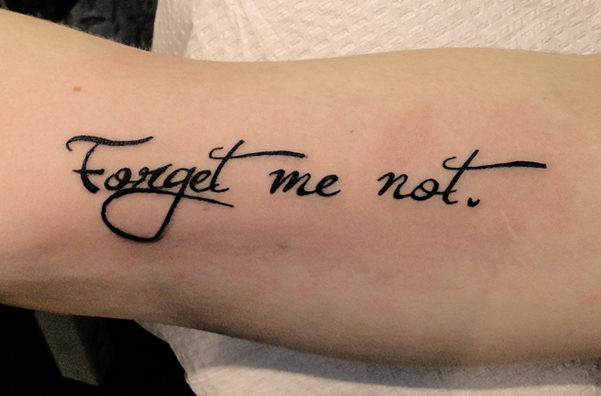 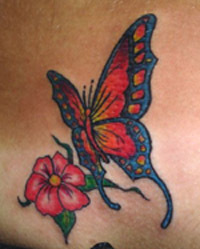 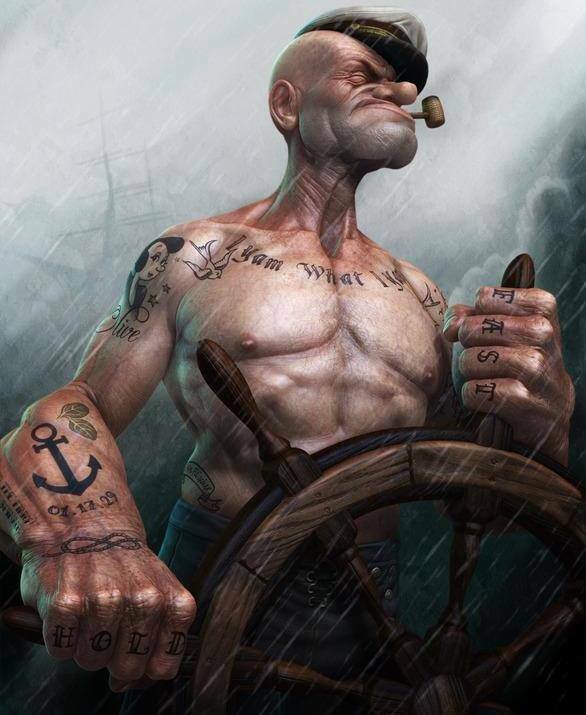 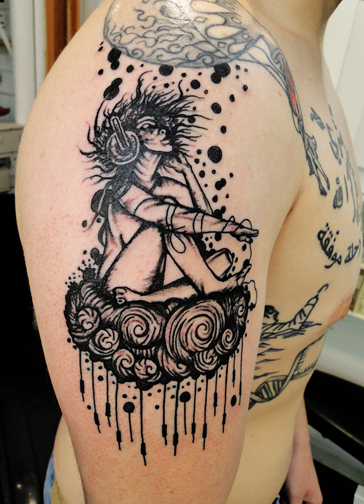 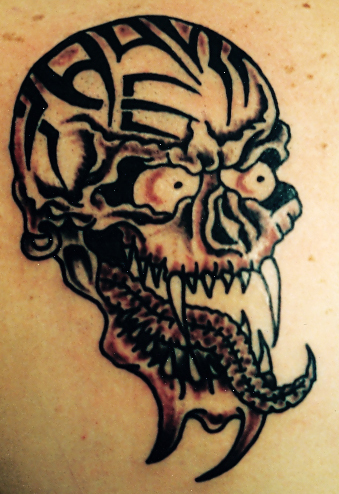 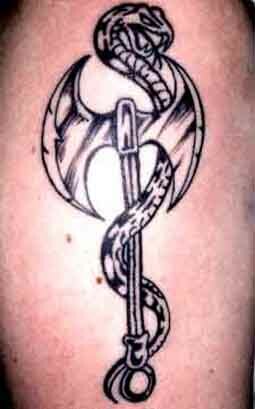 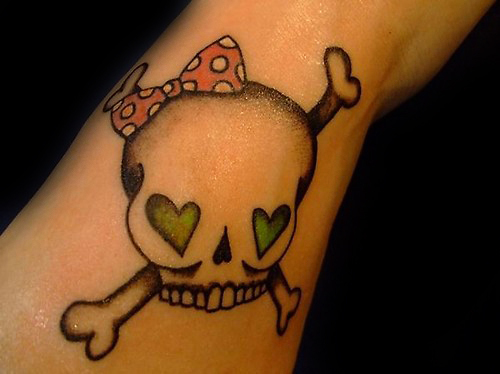 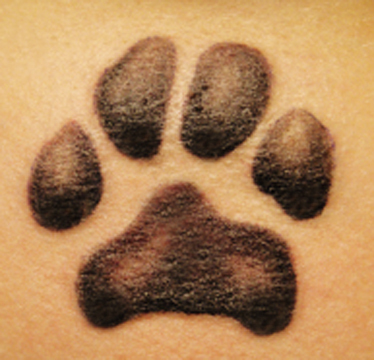 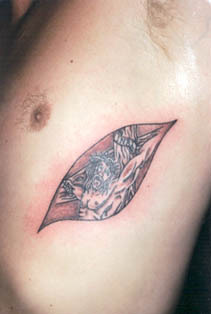 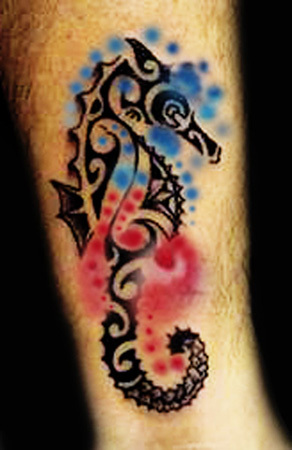 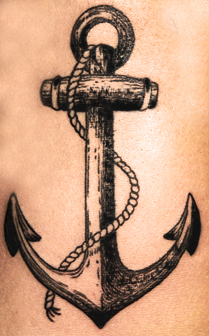 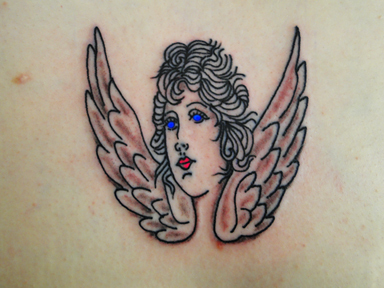 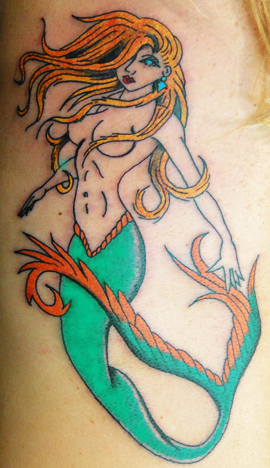 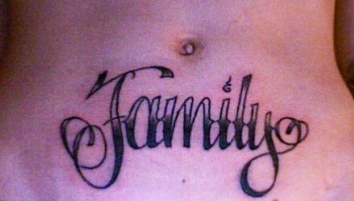 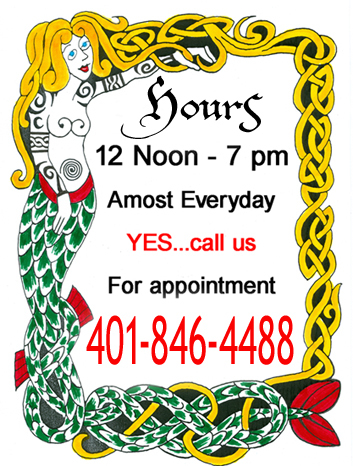 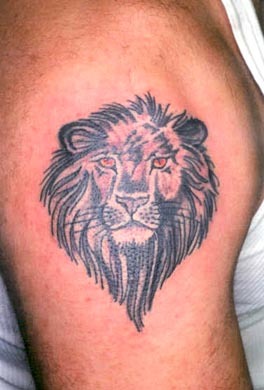 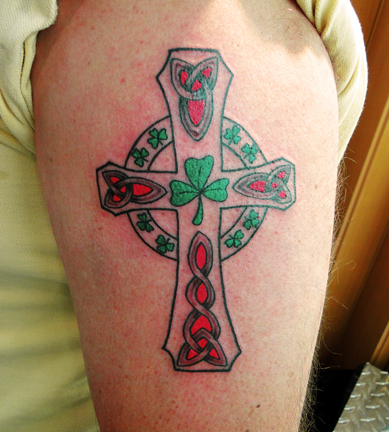 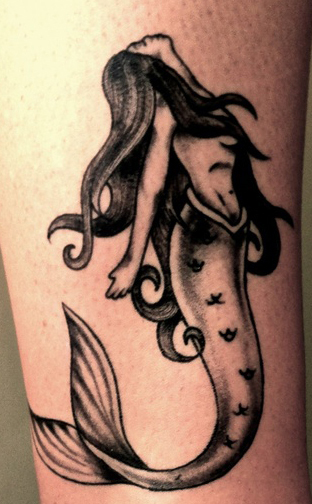 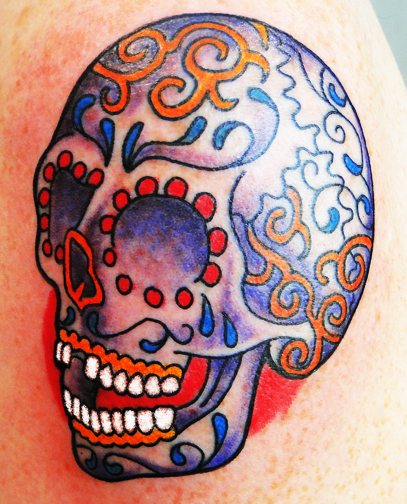 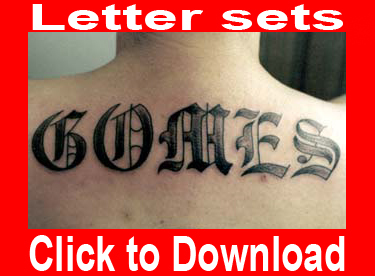 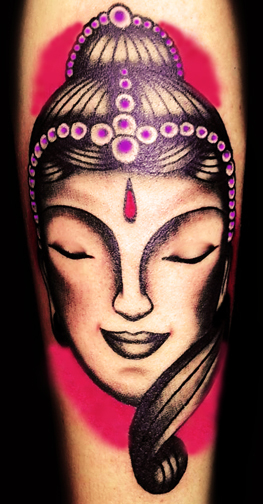 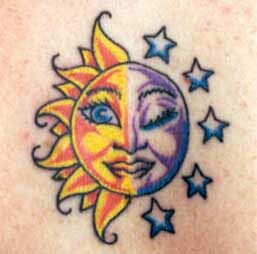 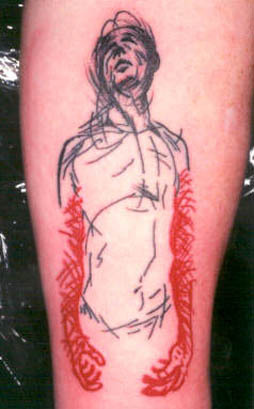 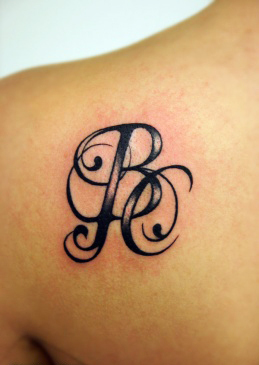 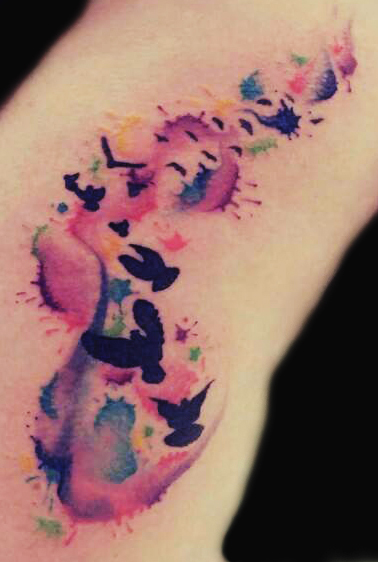 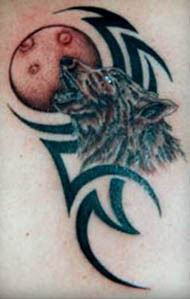 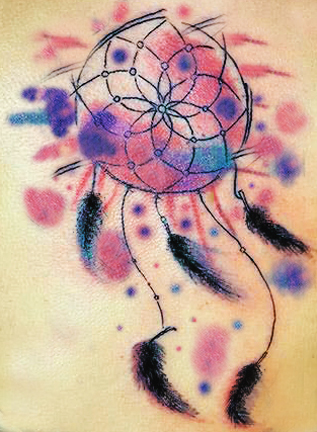 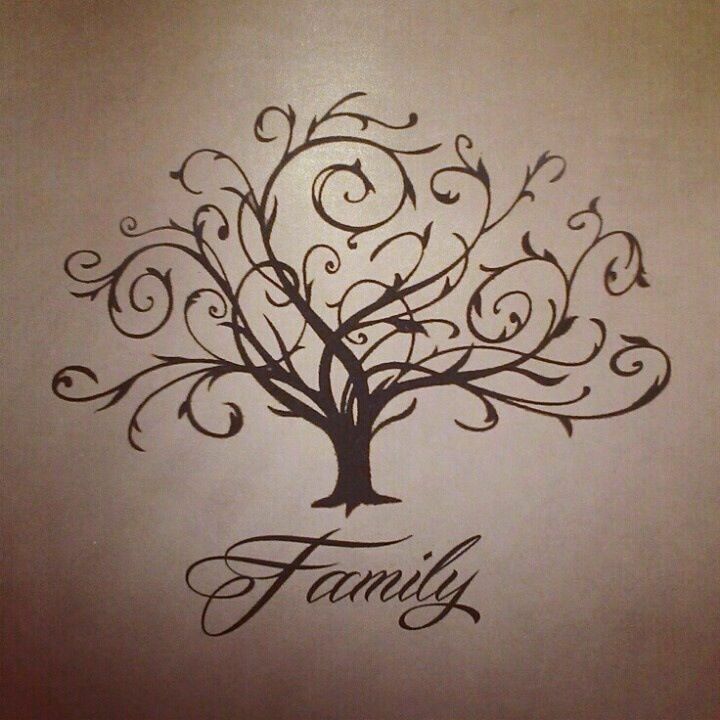 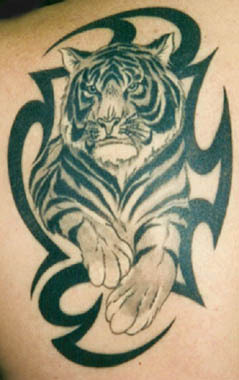 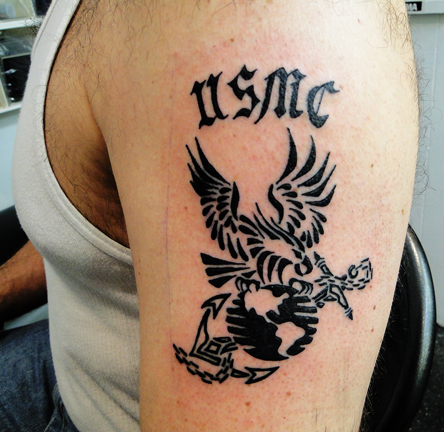 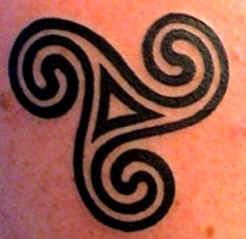 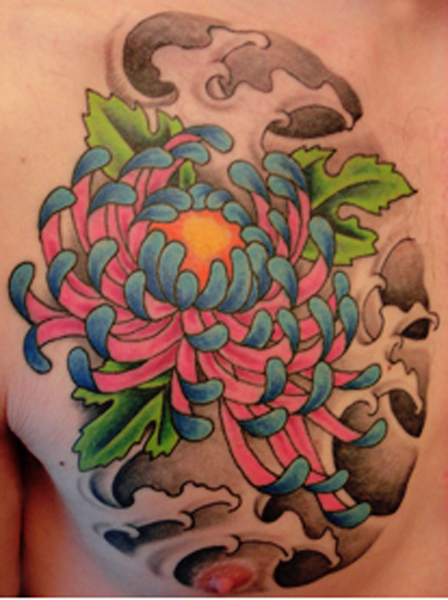 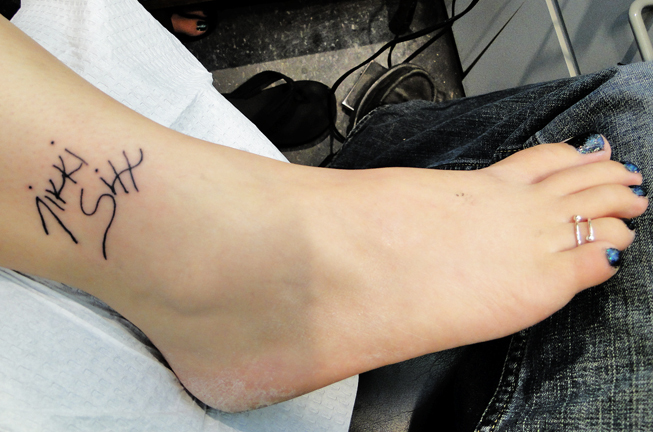 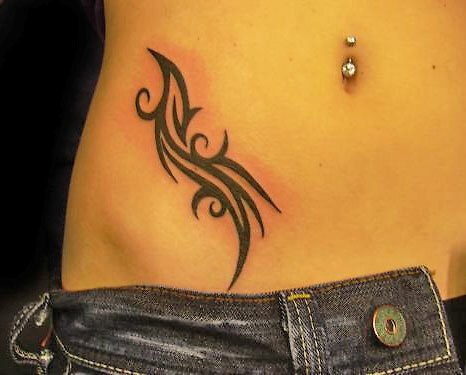 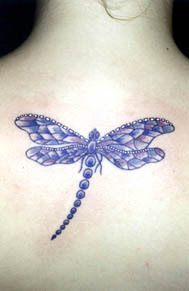 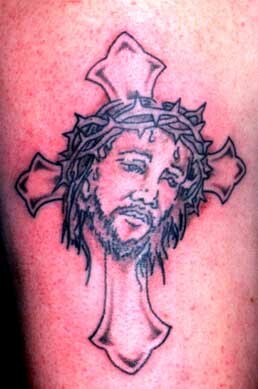 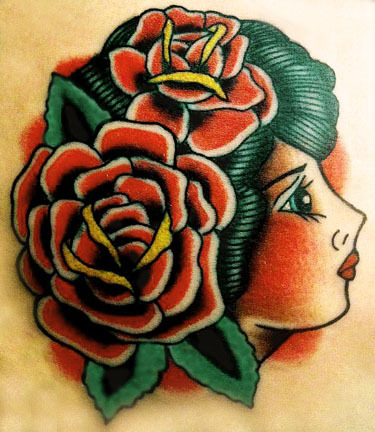 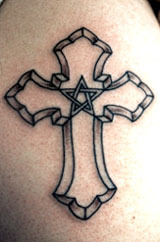 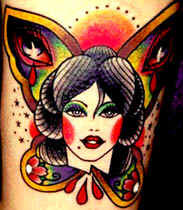 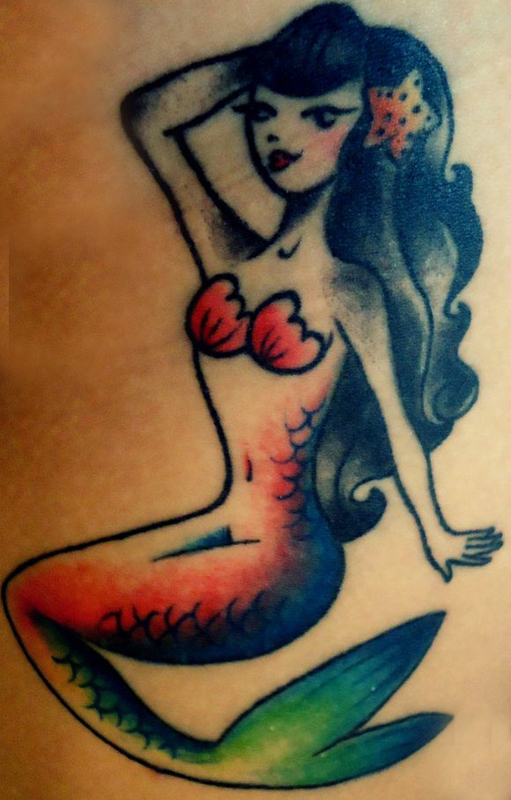 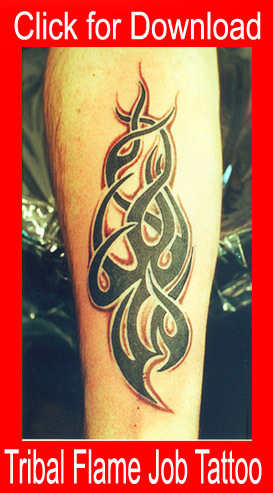 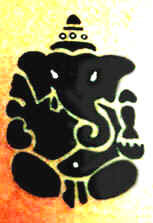 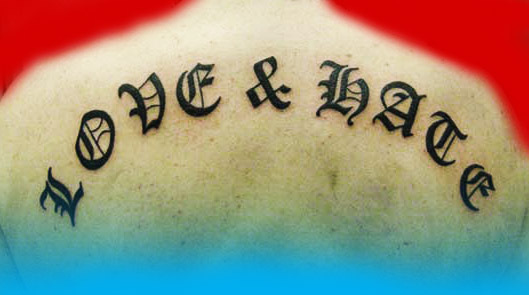 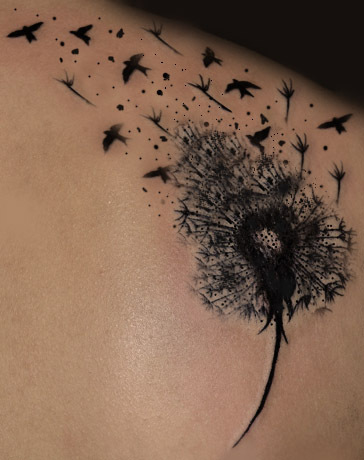 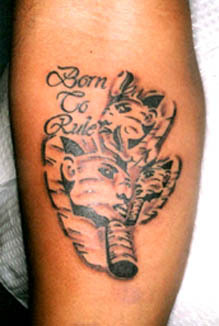 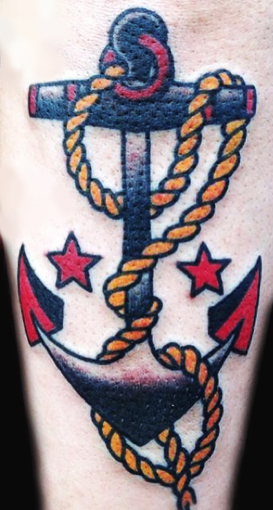 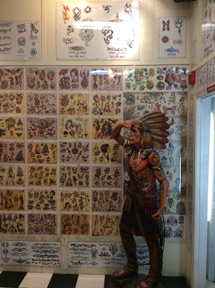 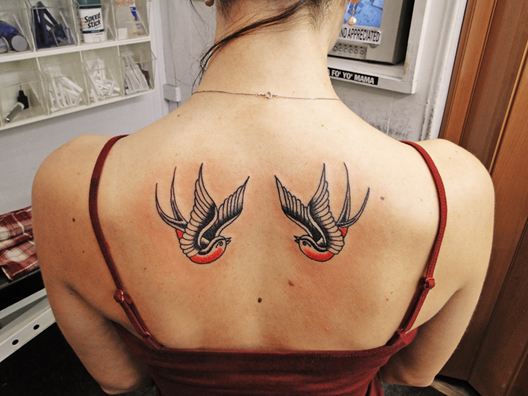 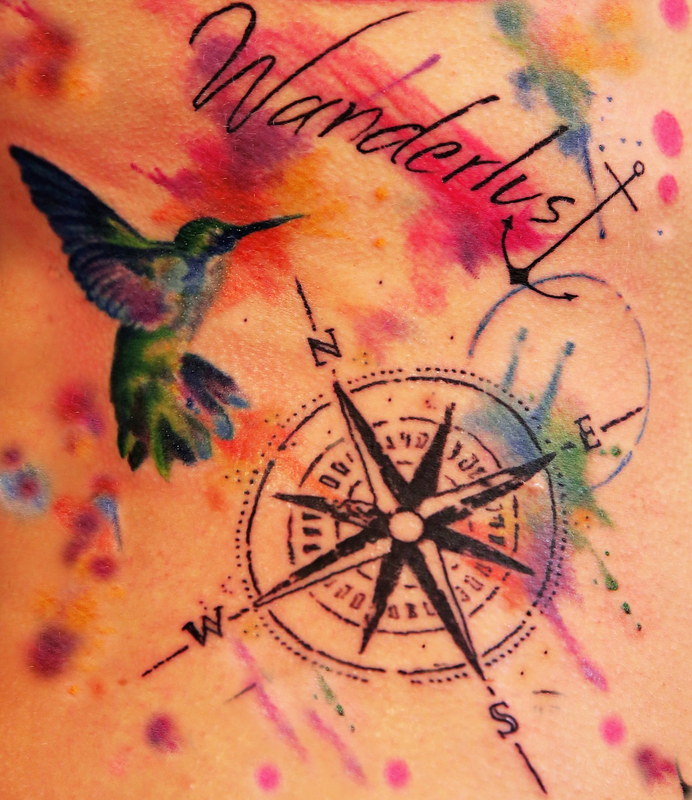 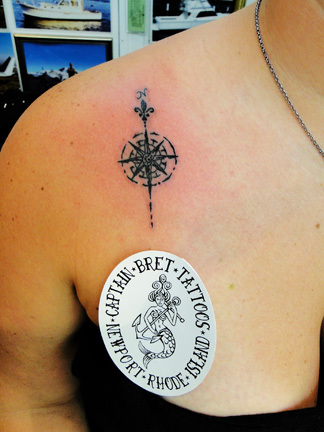 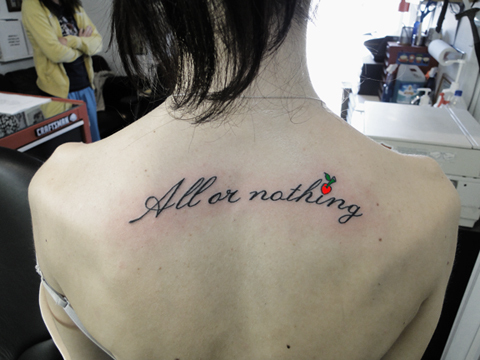 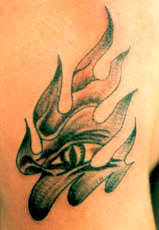 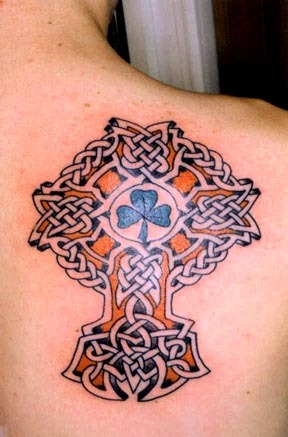 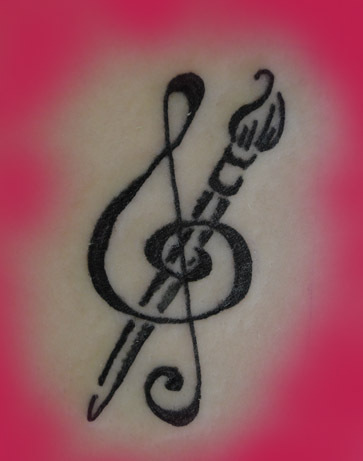 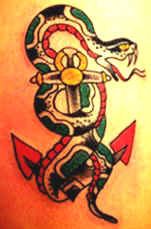 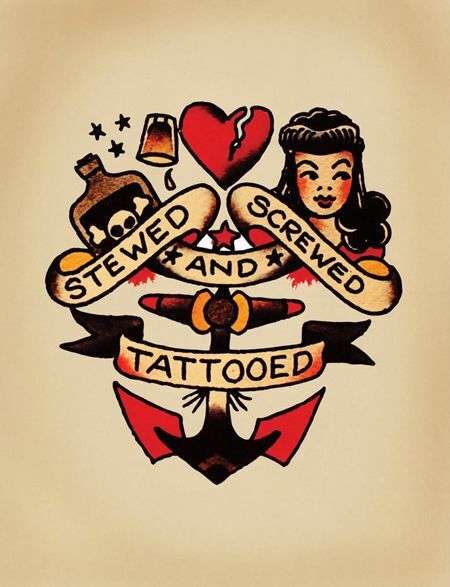 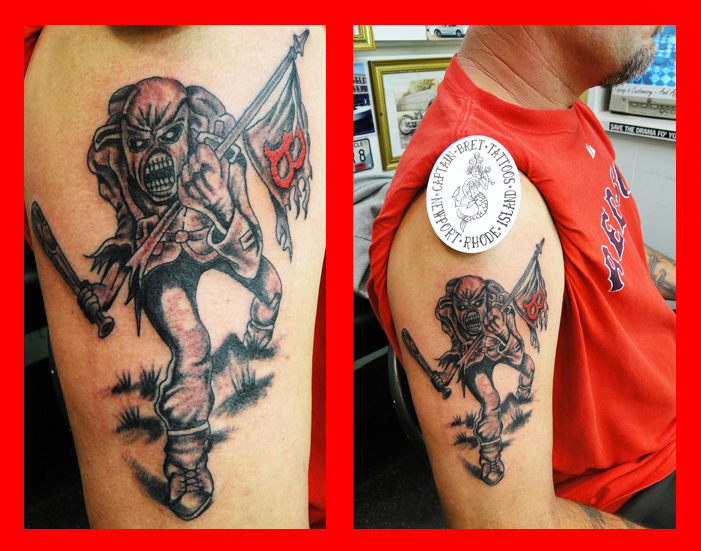 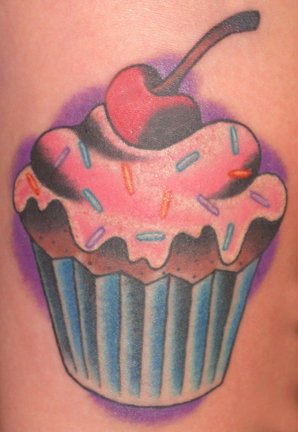 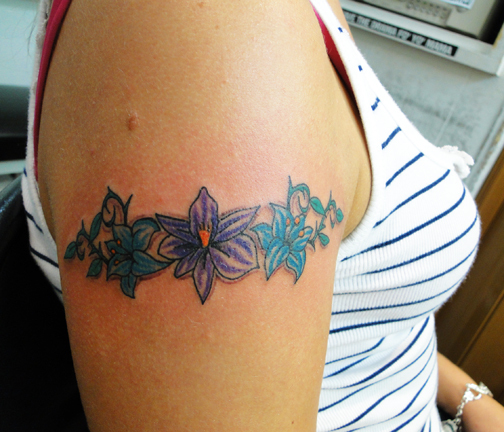 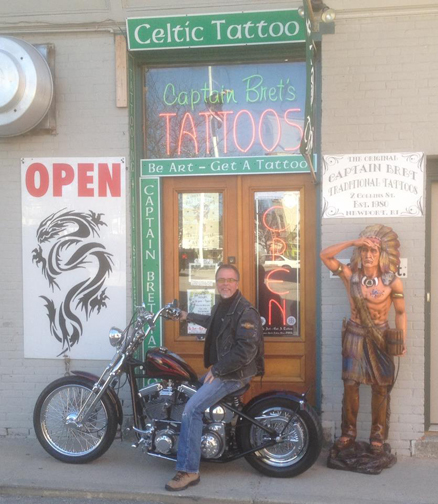 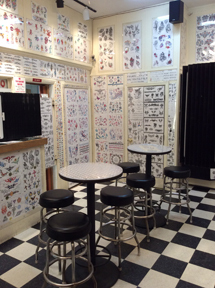 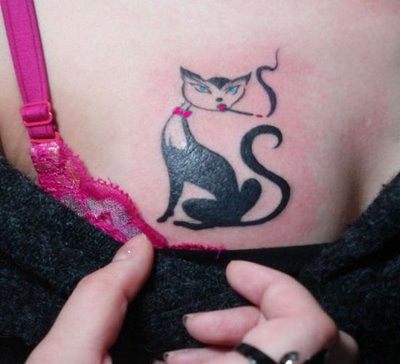 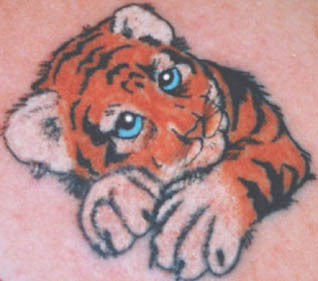 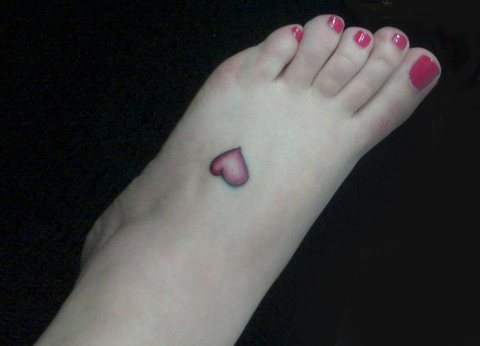 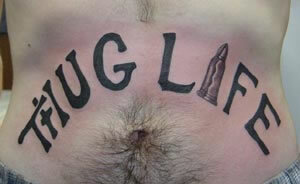 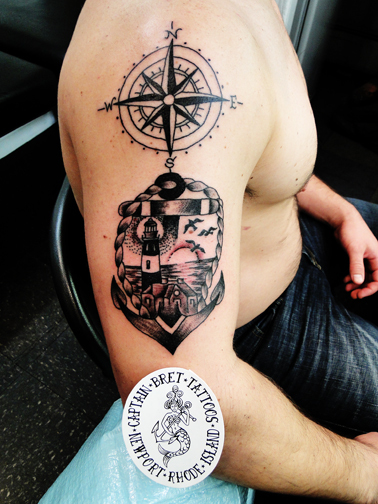 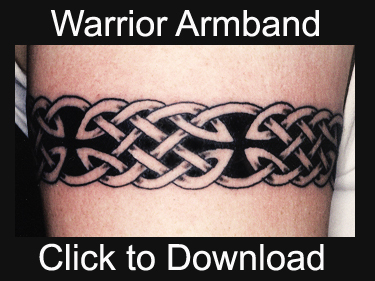 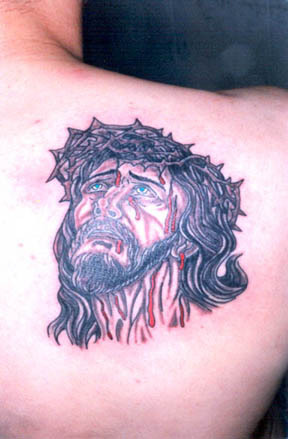 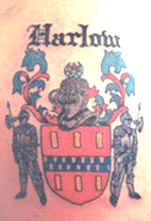 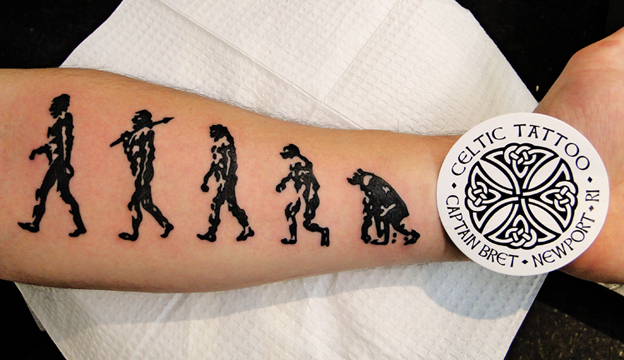 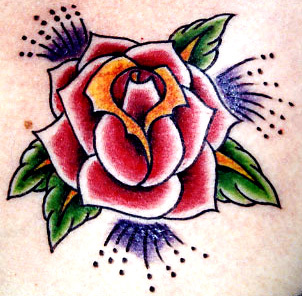 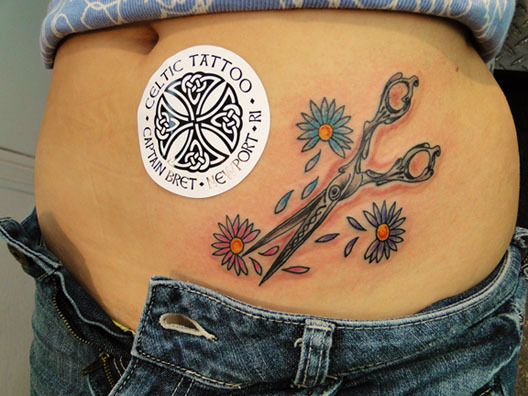 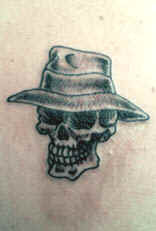 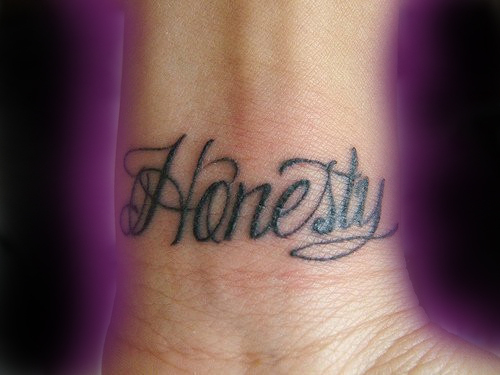 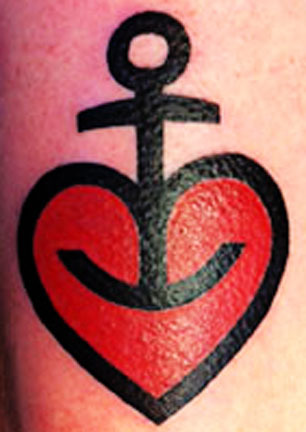 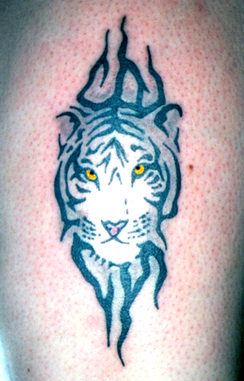 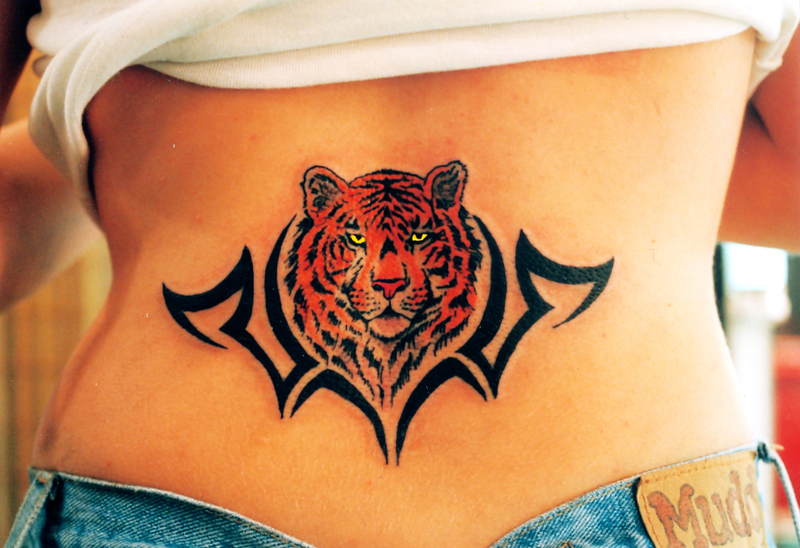 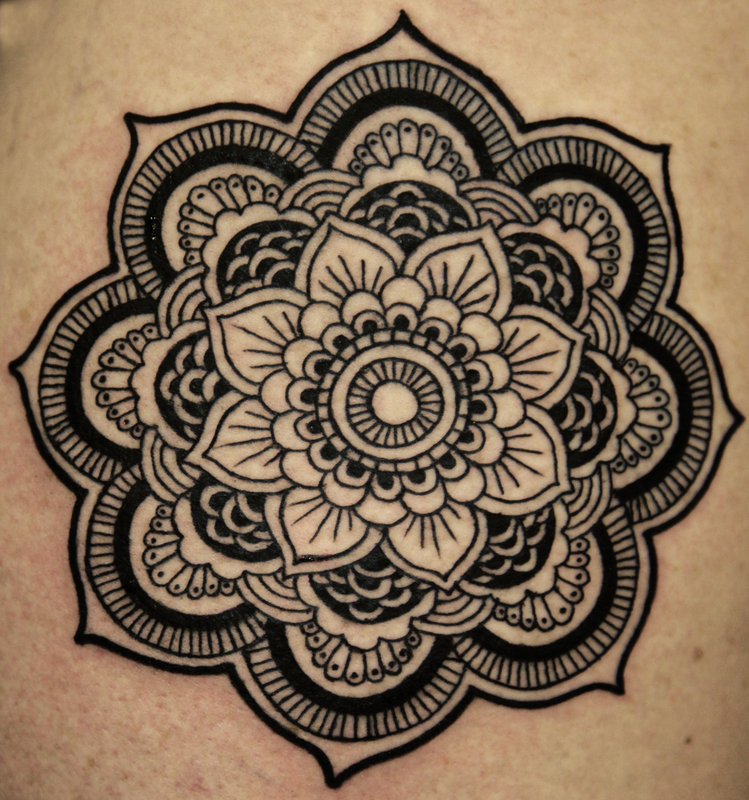 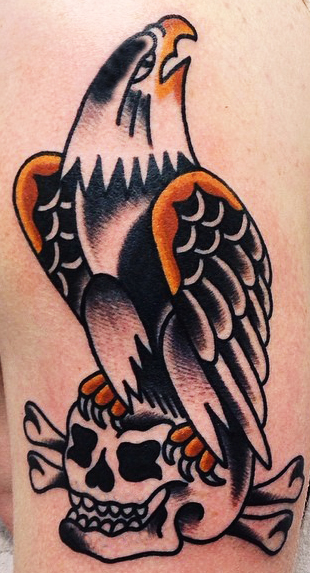 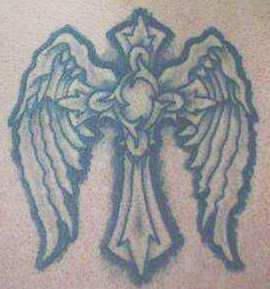 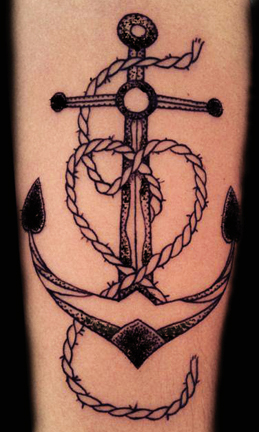 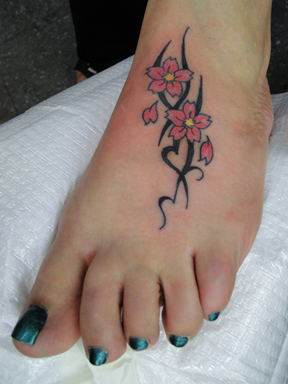 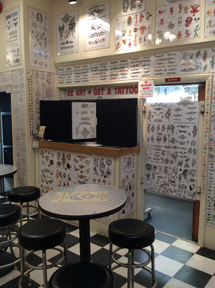 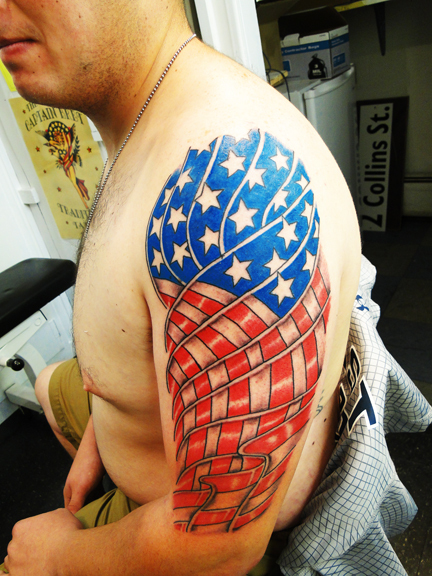 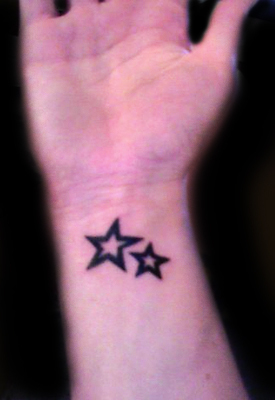 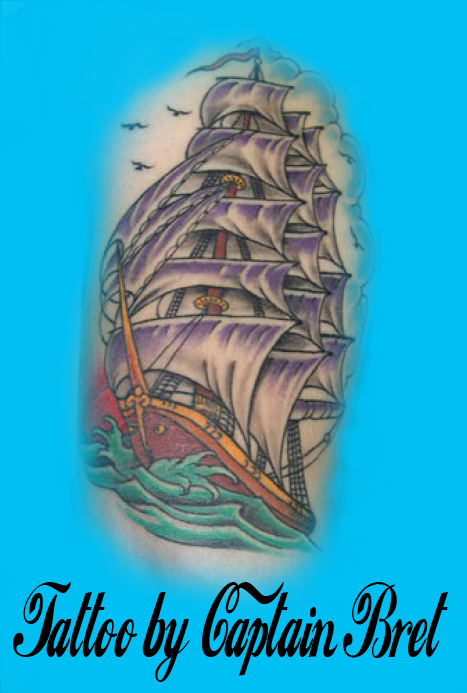 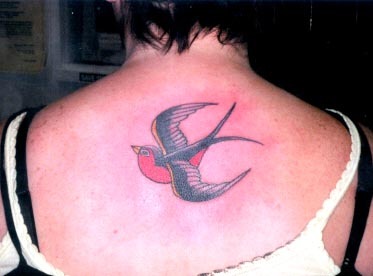 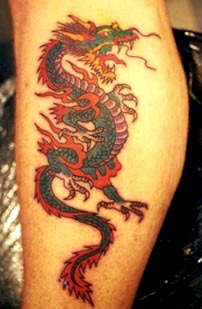 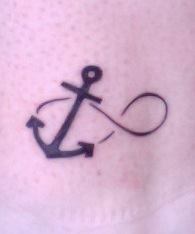 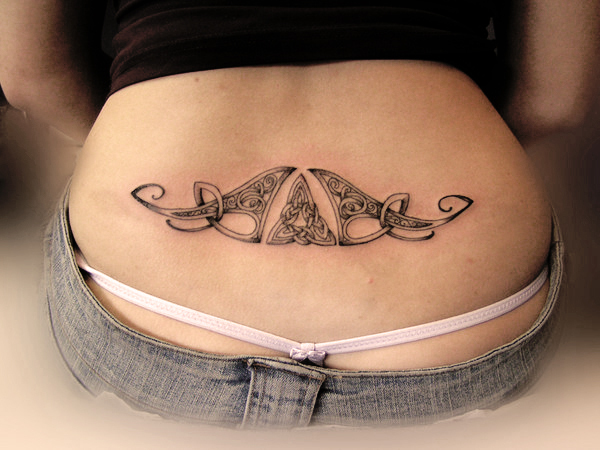 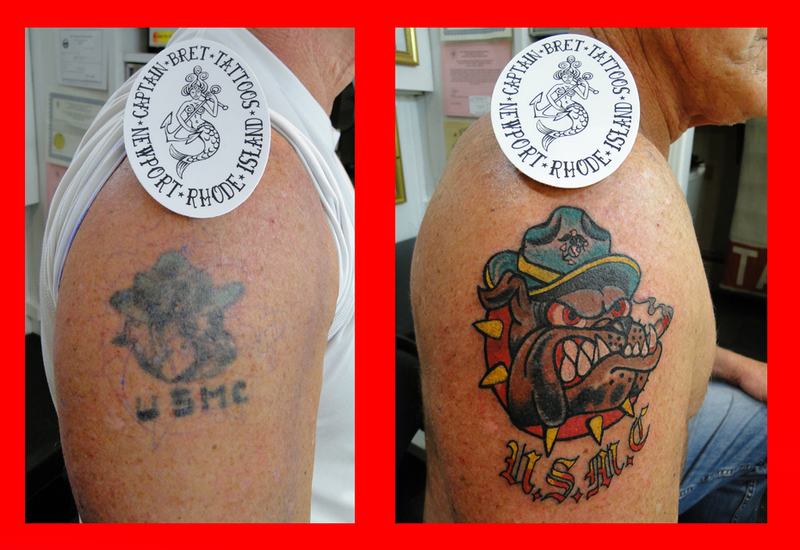 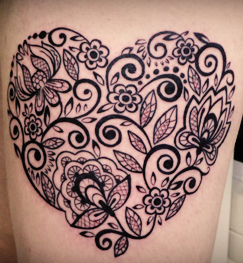 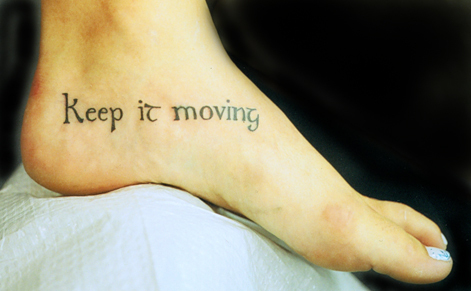 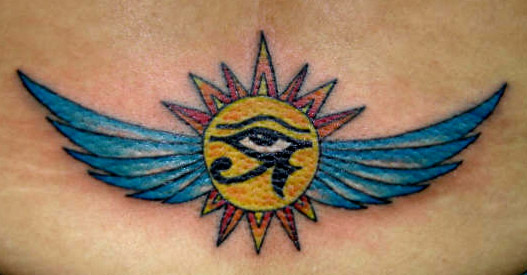 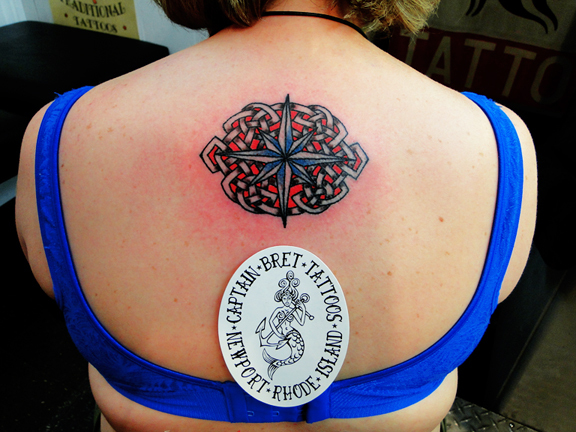 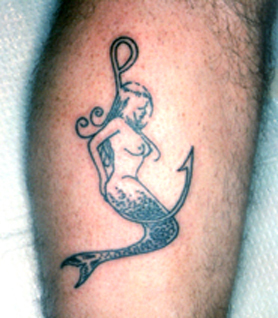 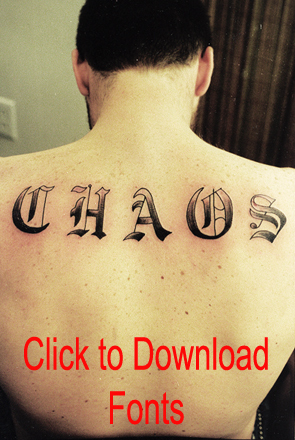 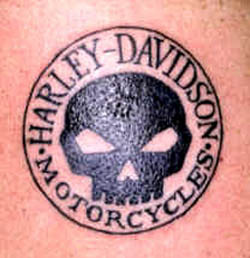 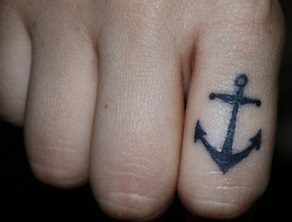 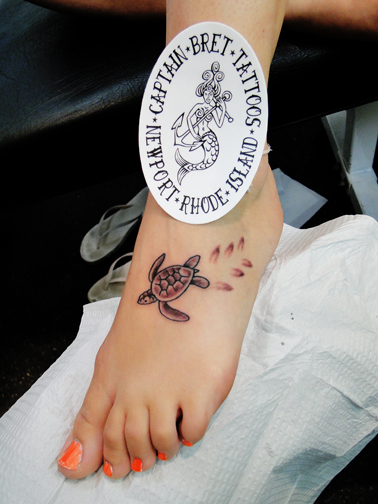 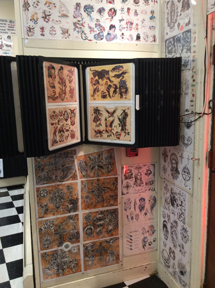 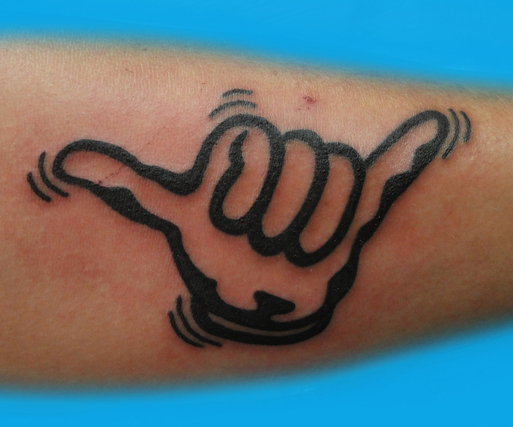 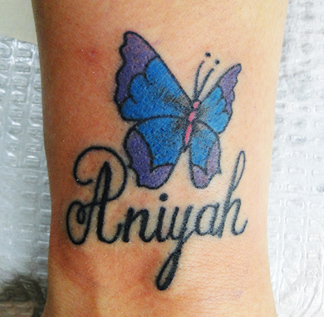 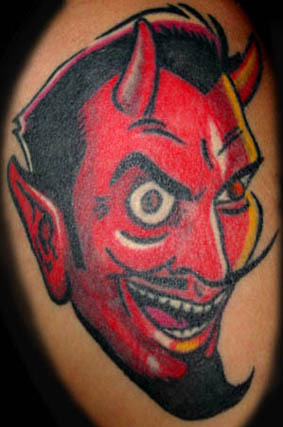 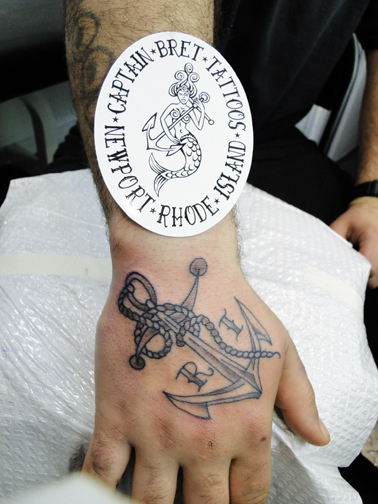 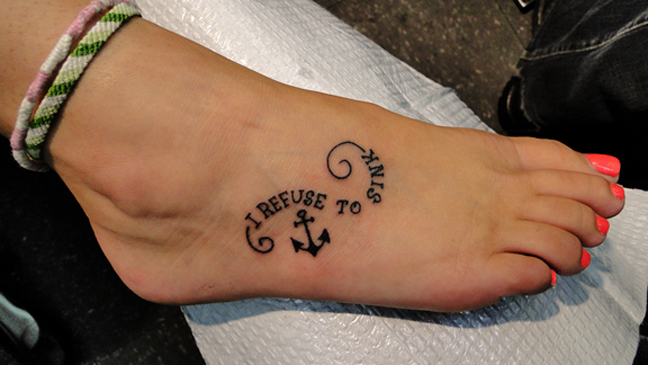 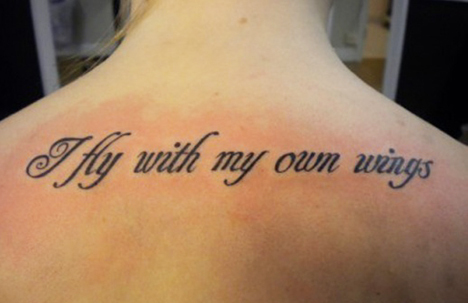 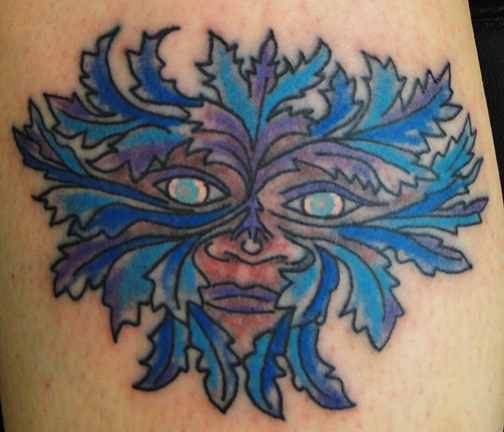 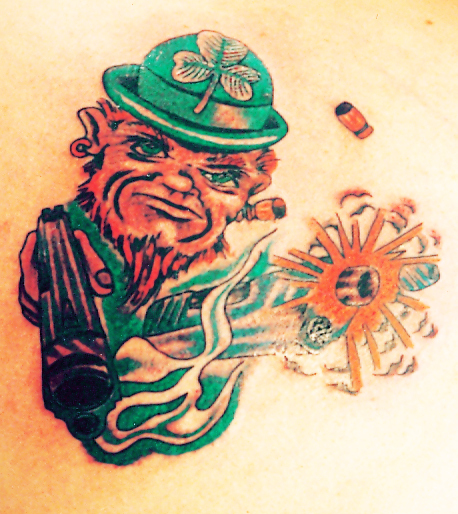 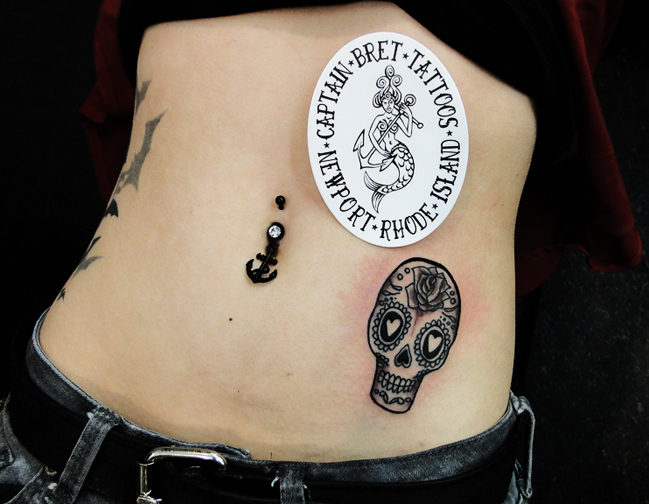 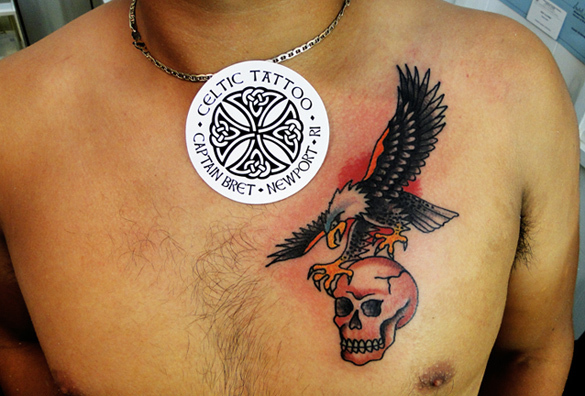 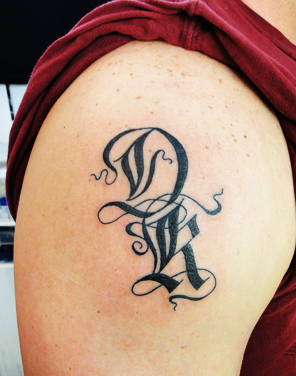 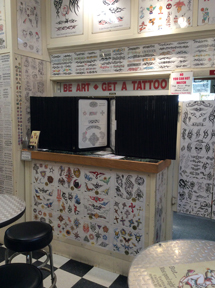 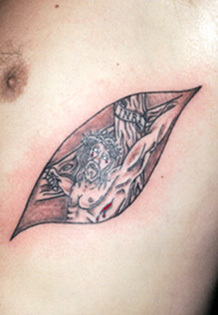 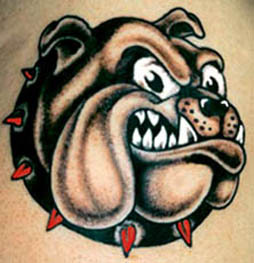 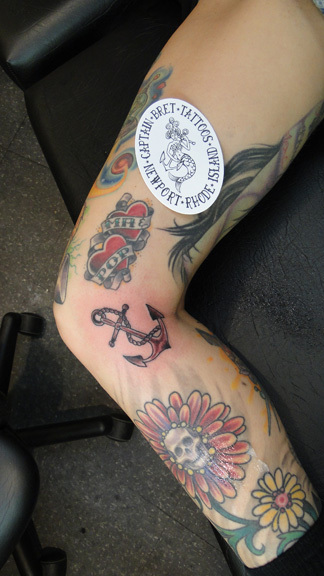 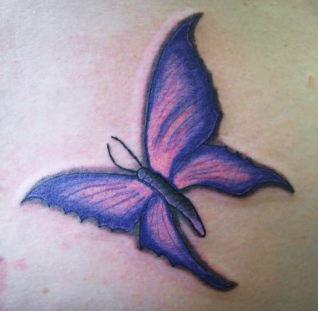 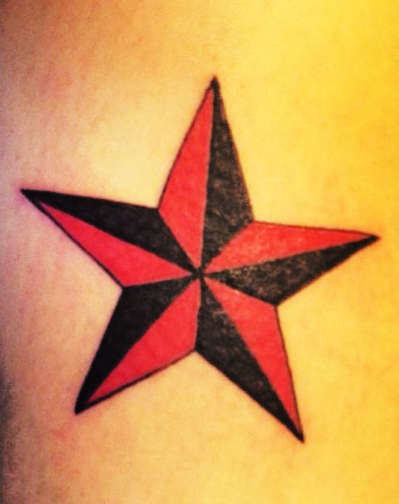 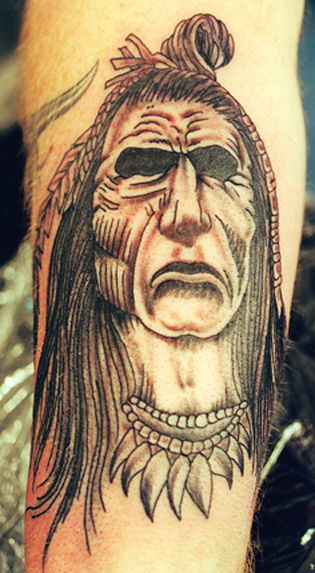 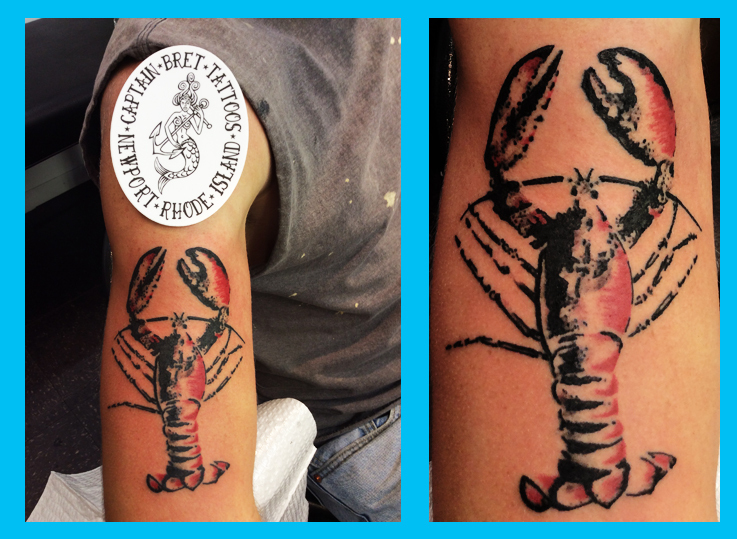 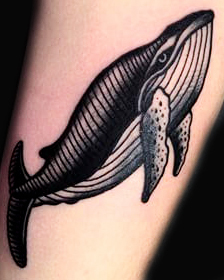 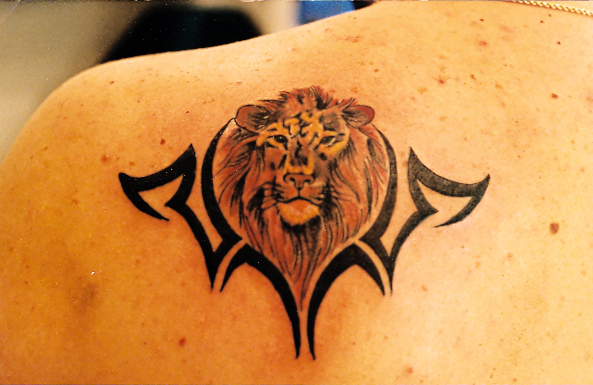 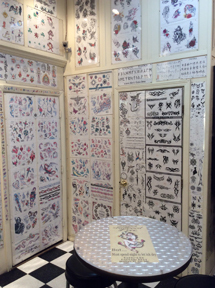 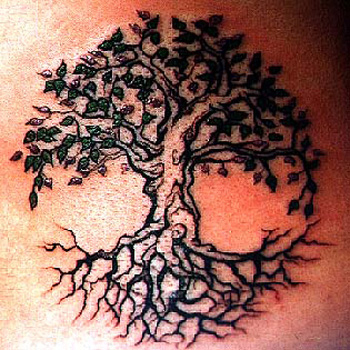 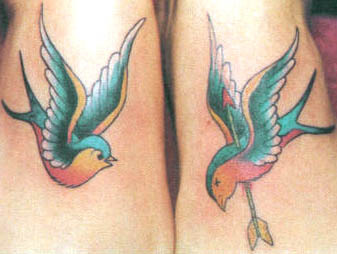 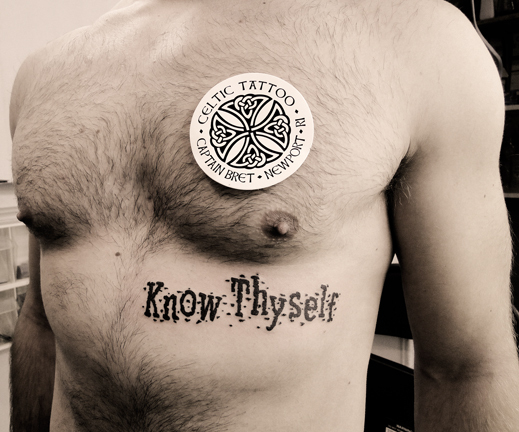 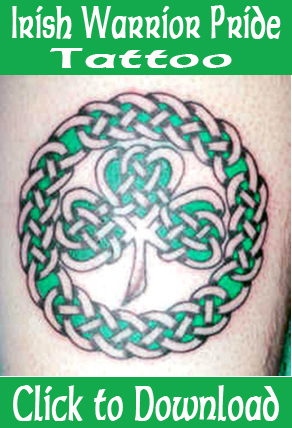 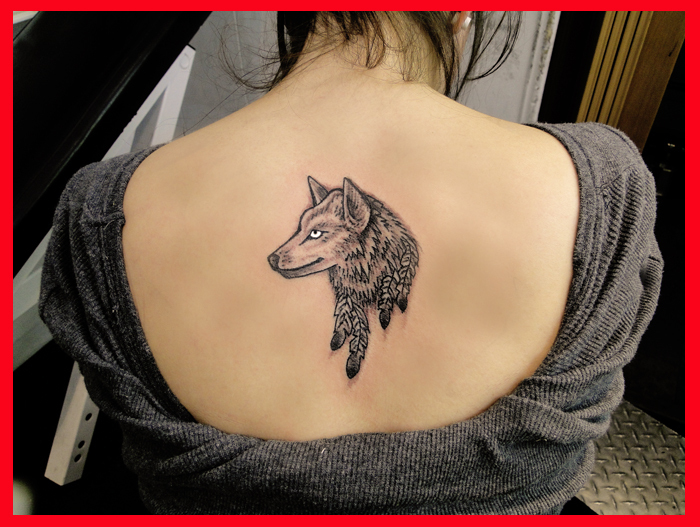 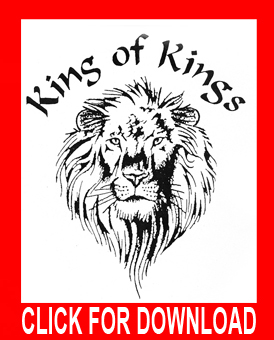 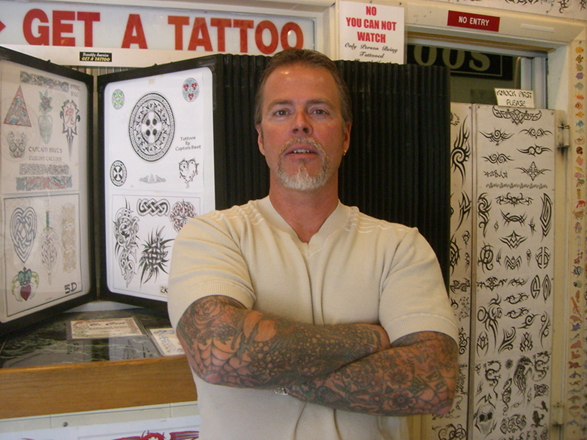 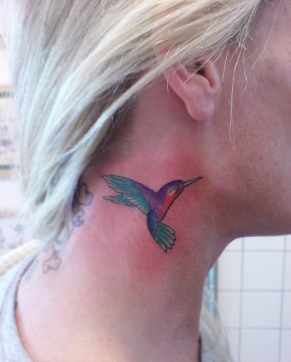 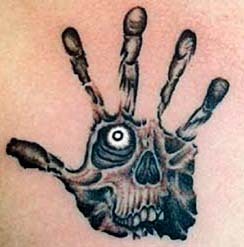 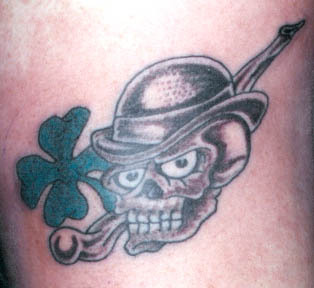 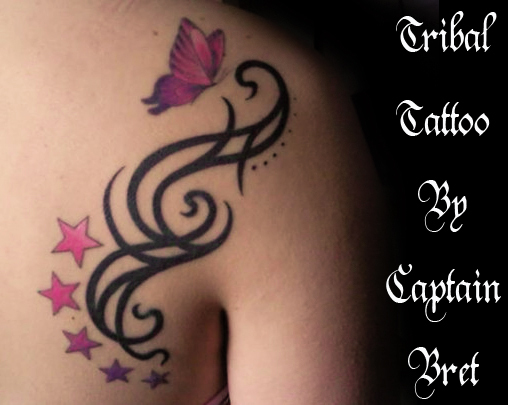 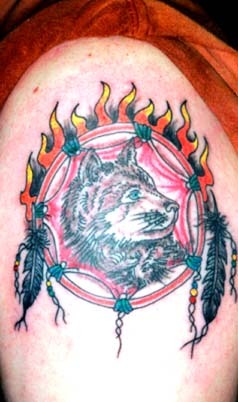 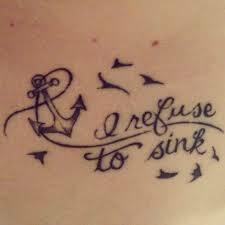 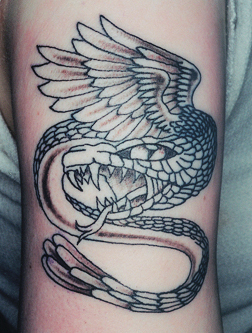 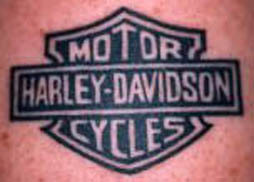 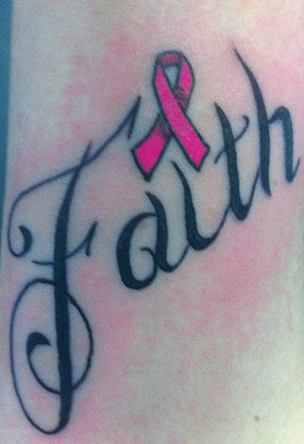 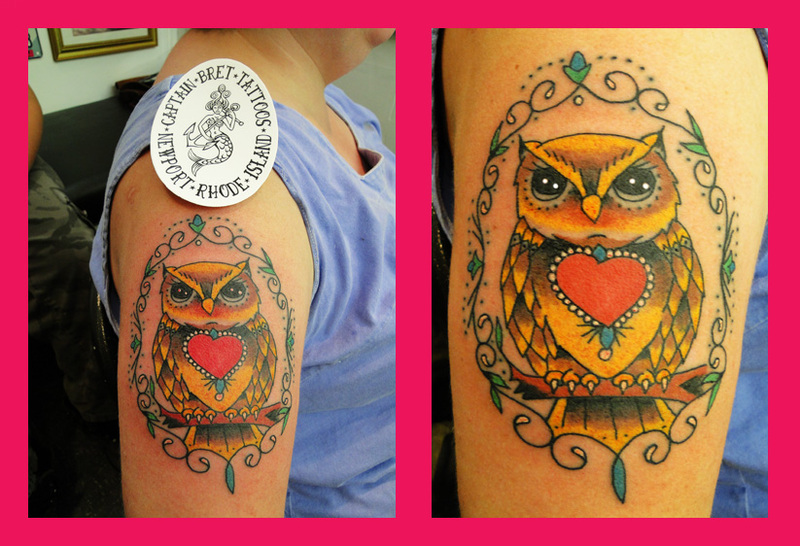 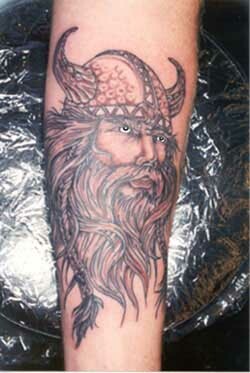 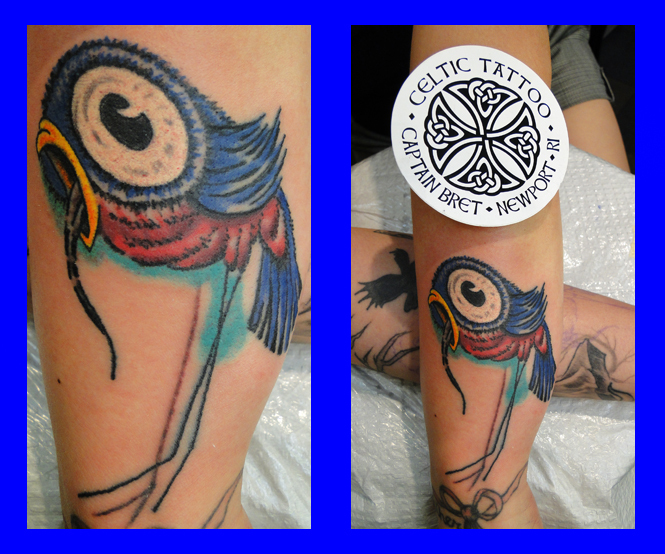 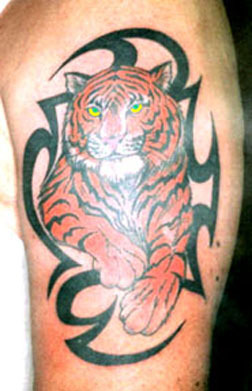 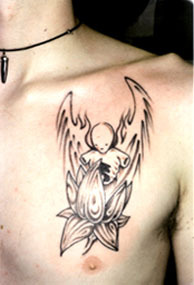 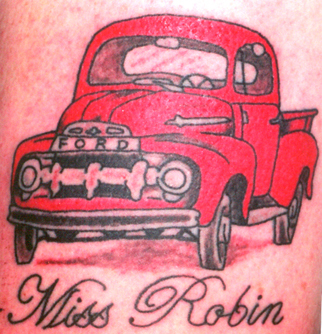 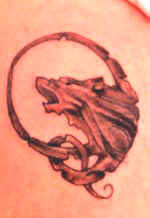 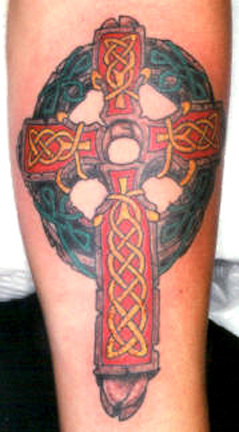 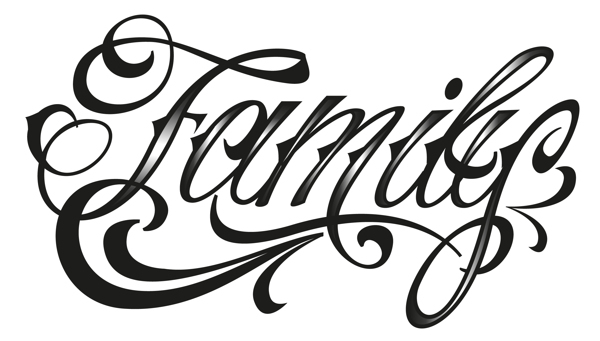 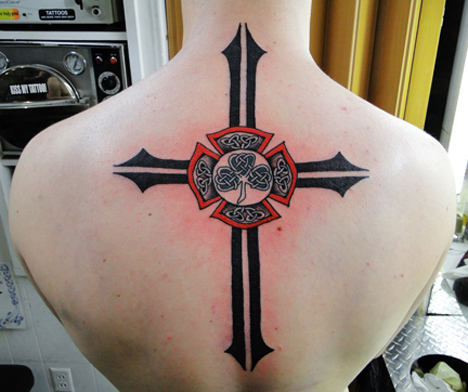 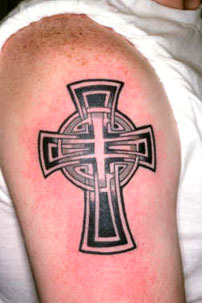 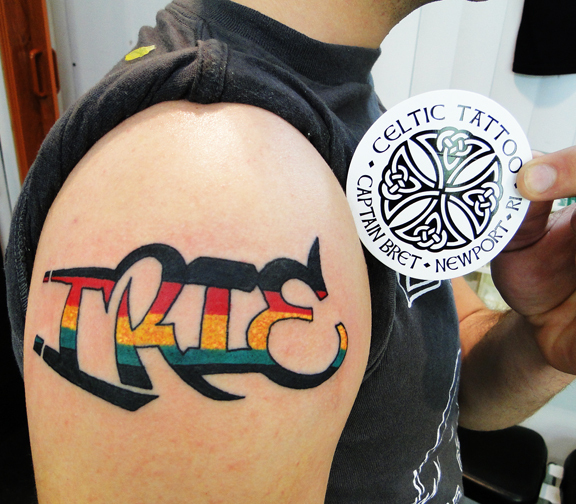 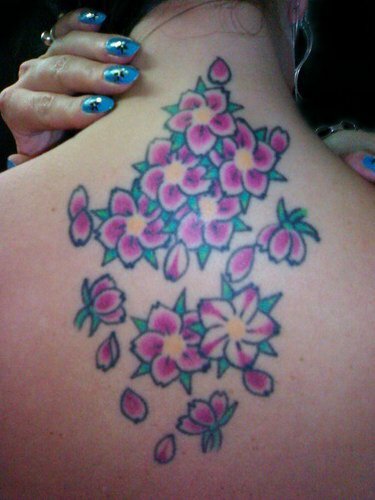 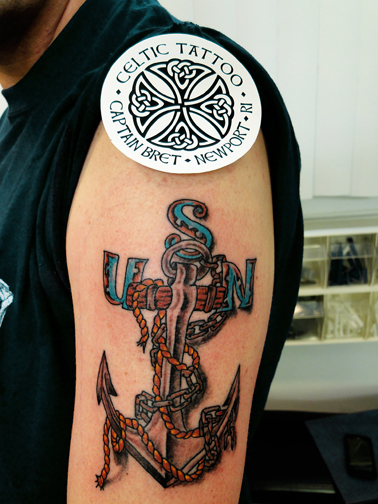 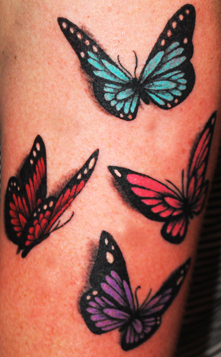 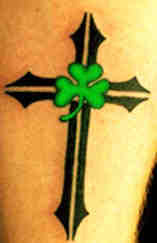 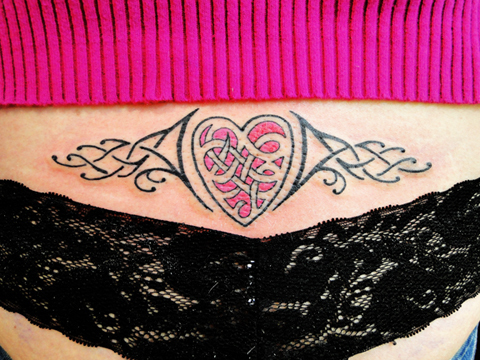 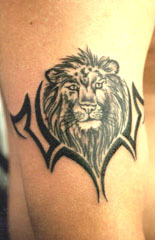 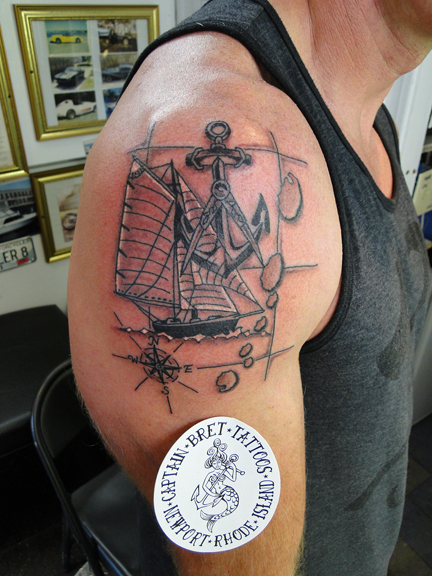 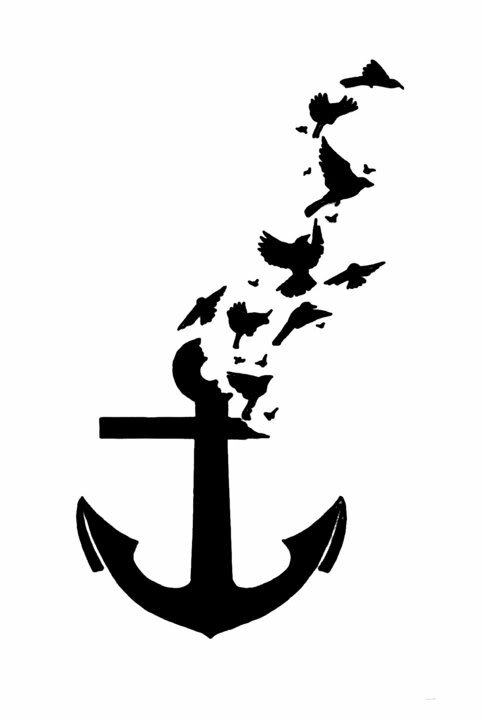 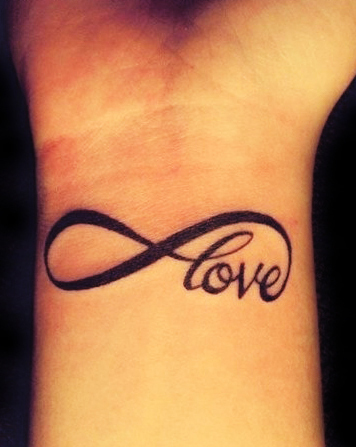 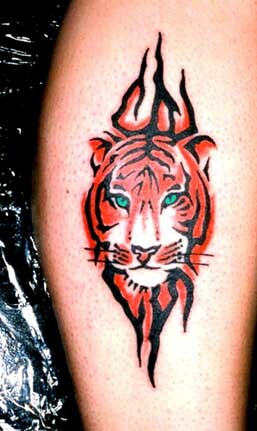 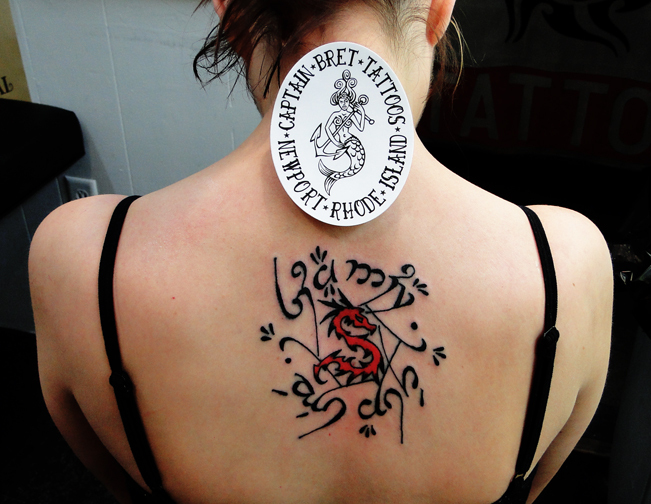 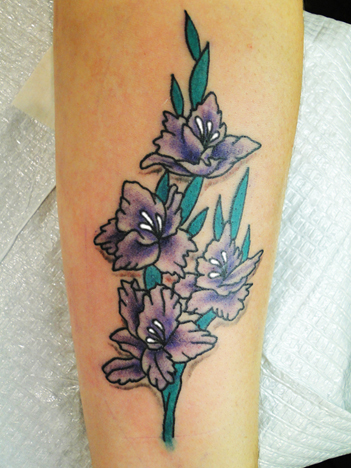 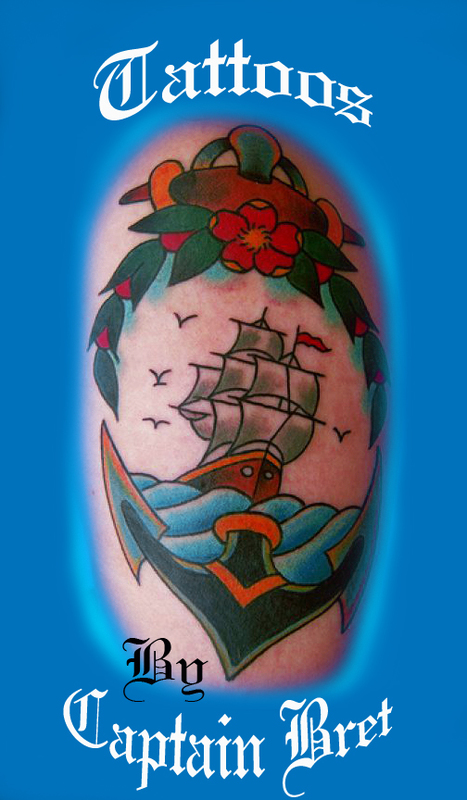 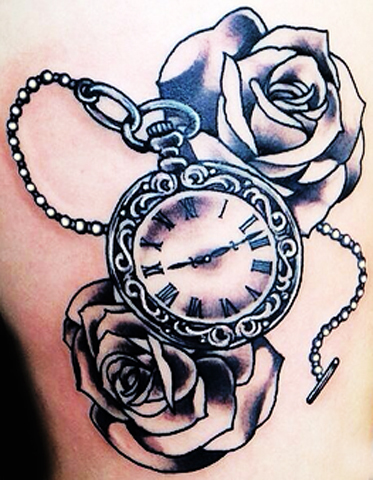 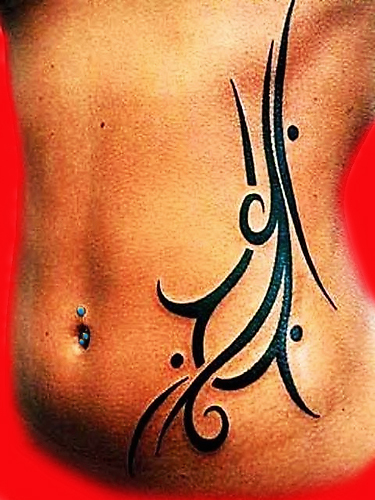 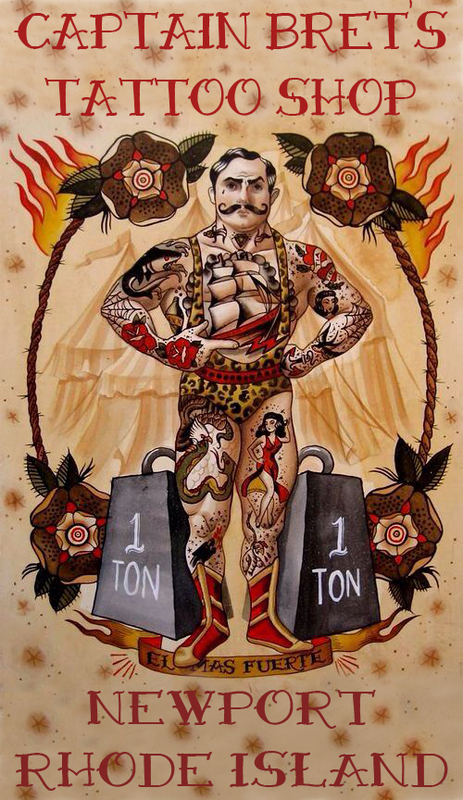 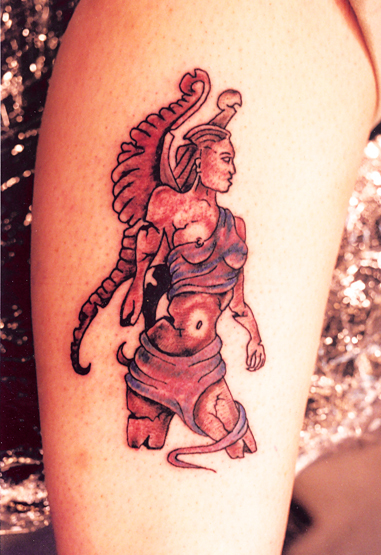 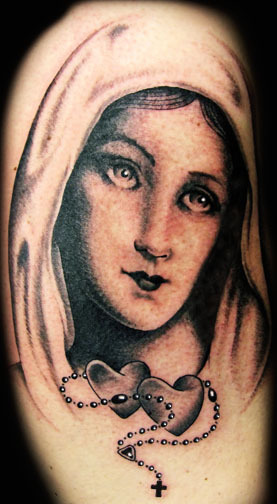 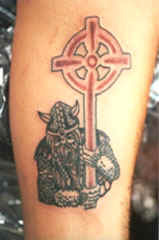 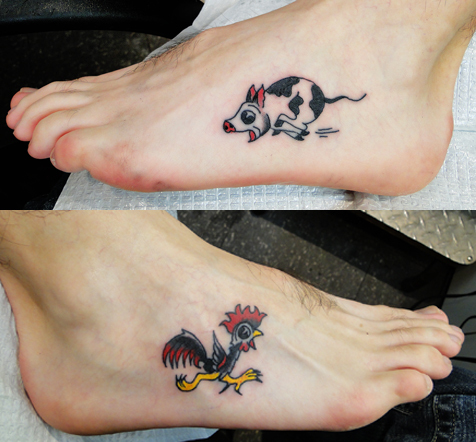 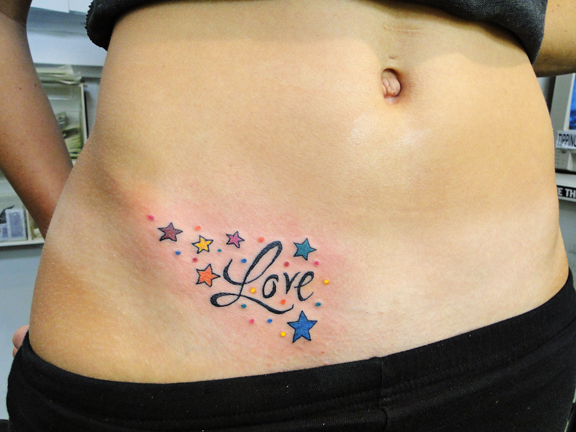 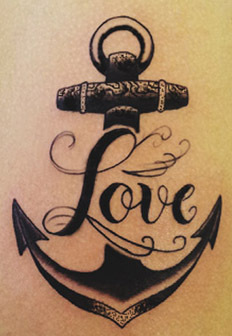 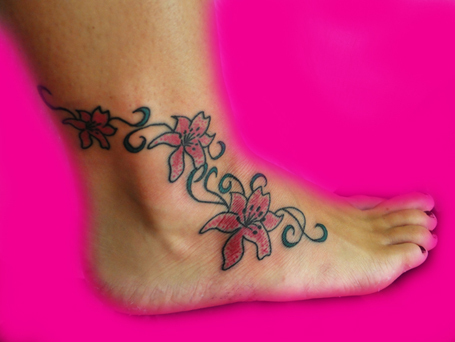 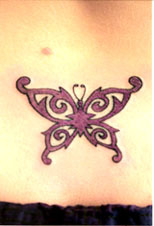 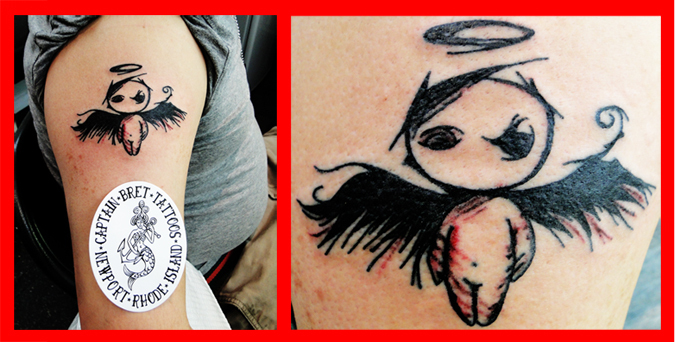 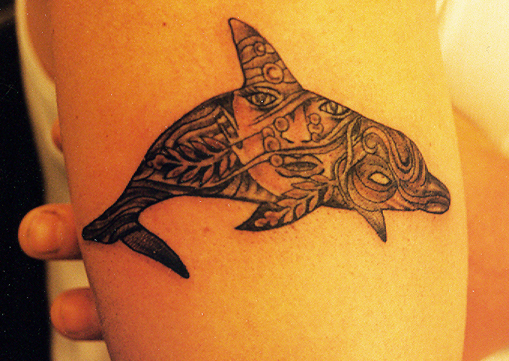 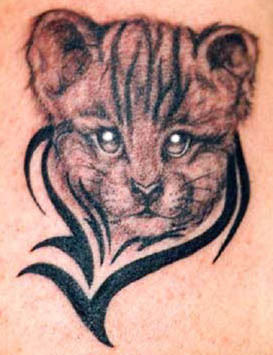 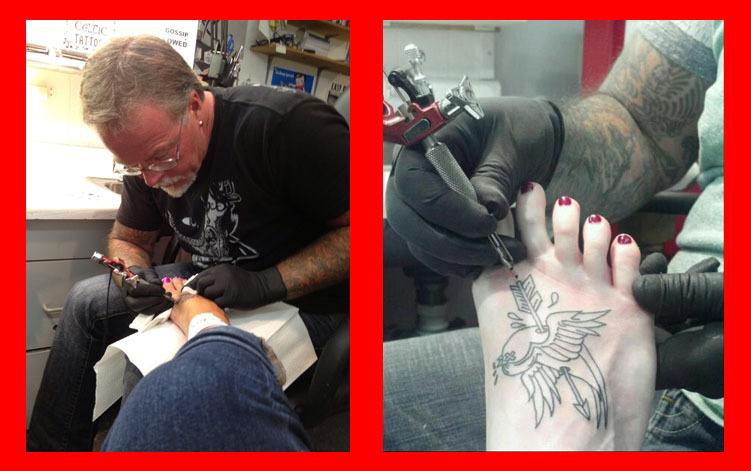 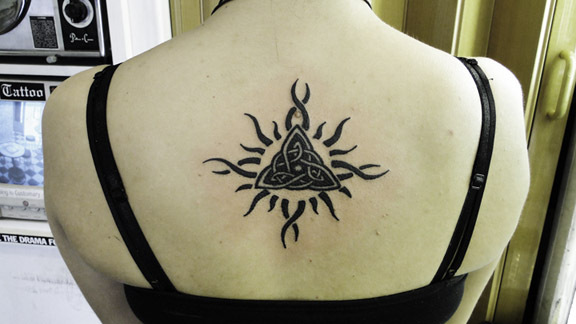 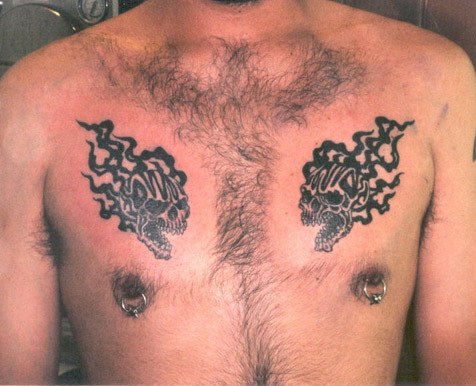 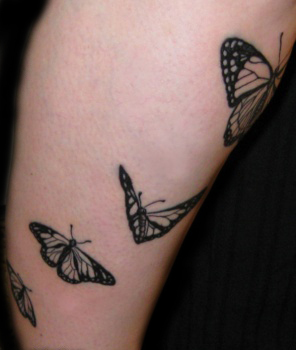 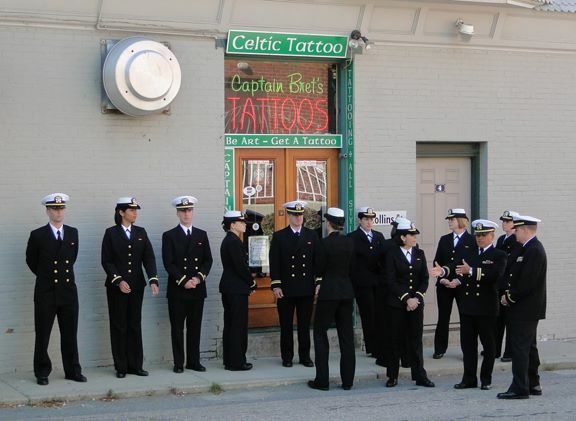 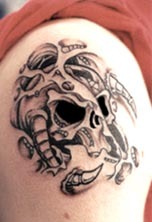 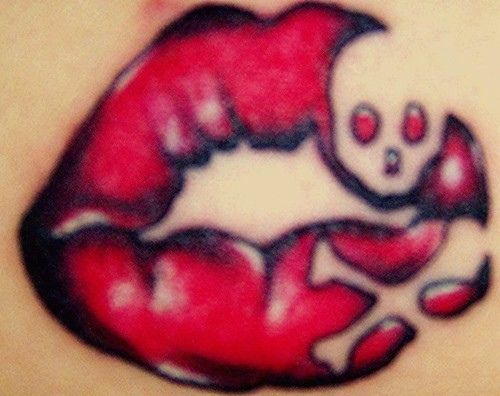 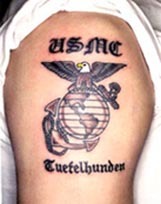 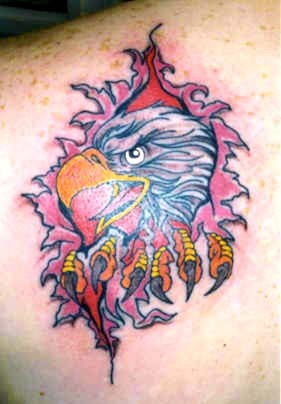 Traditional Tattooing pictures and images page. 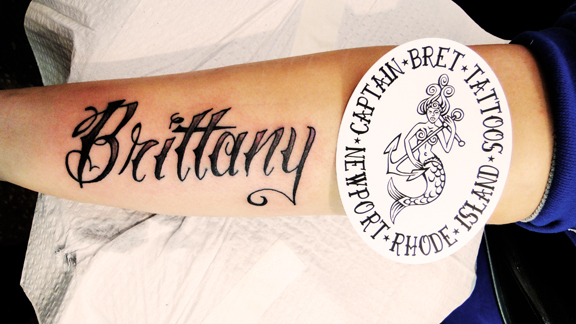 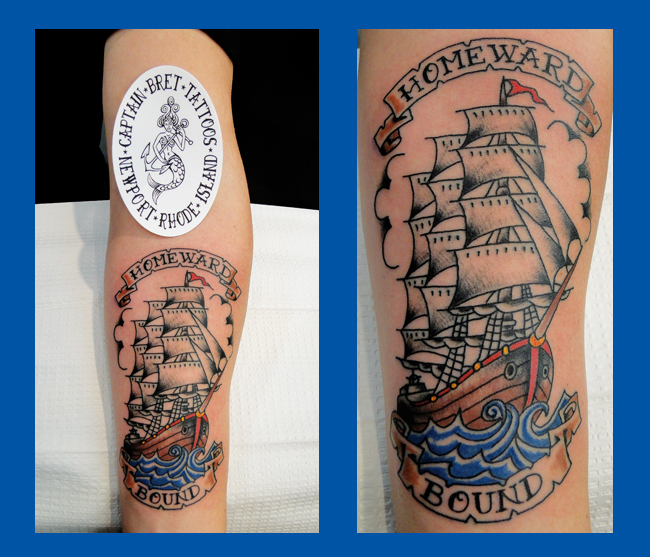 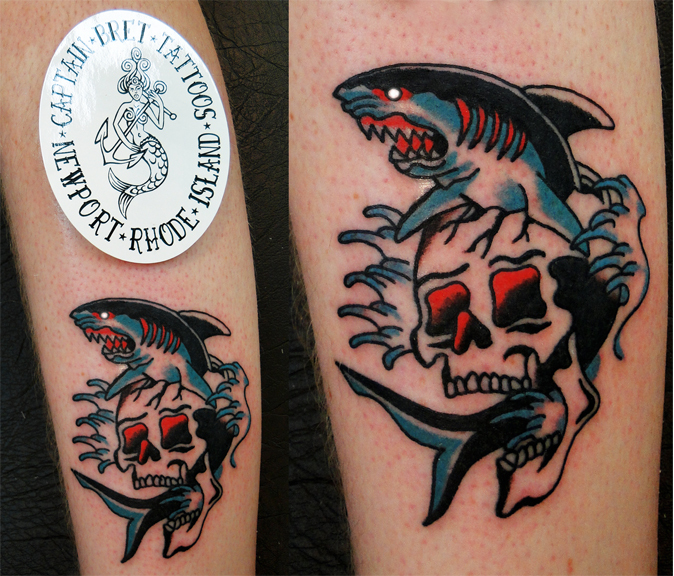 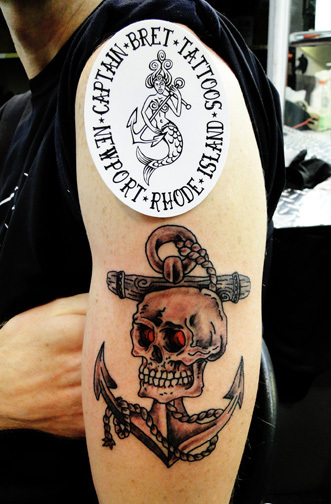 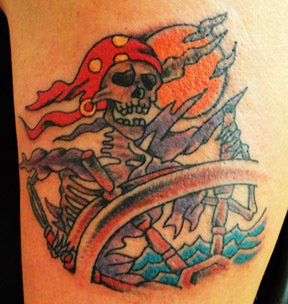 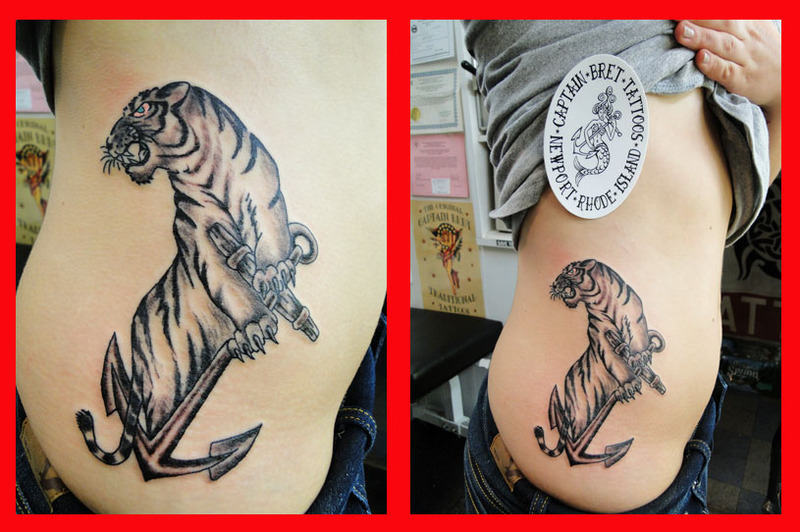 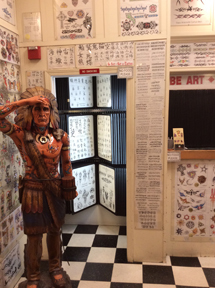 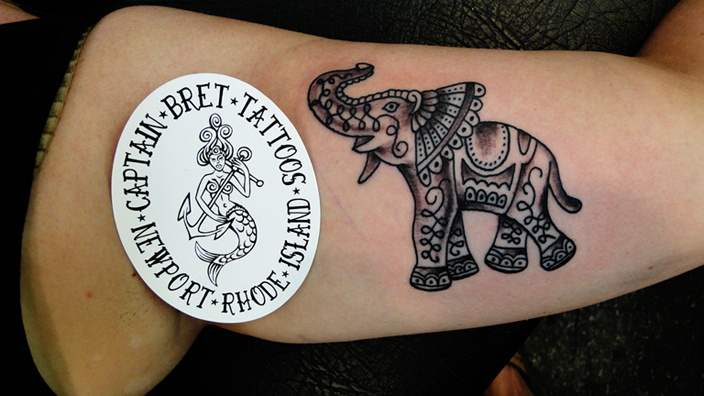 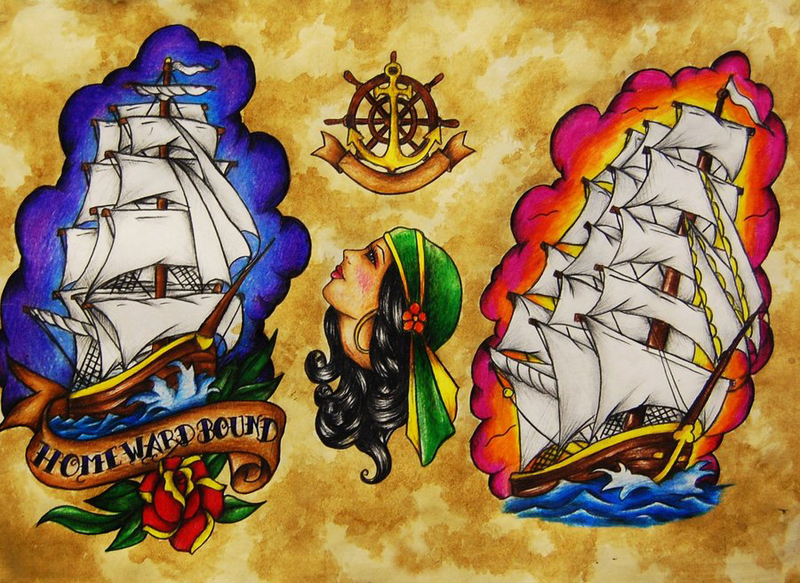 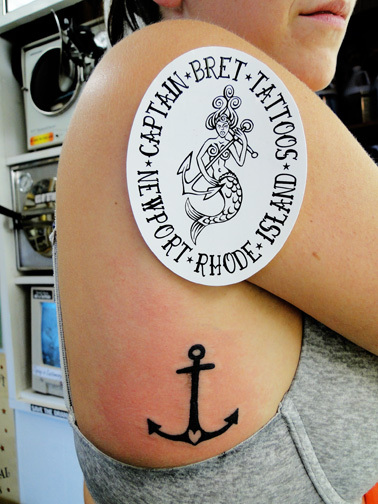 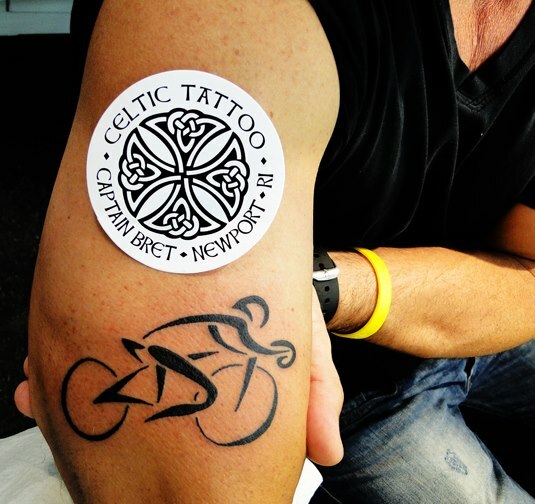 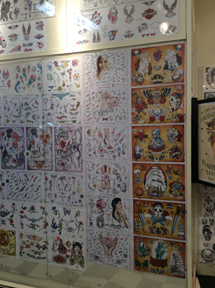 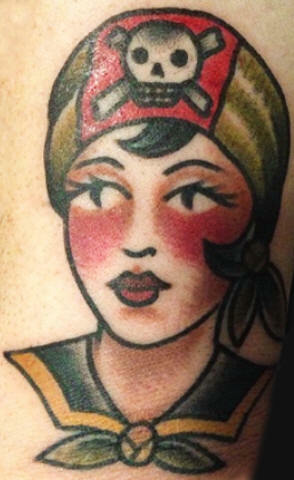 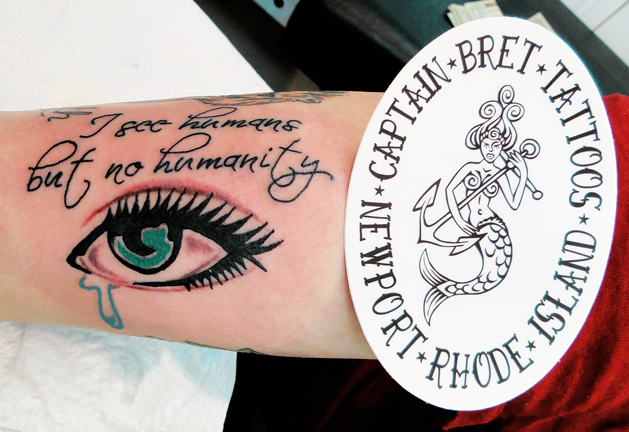 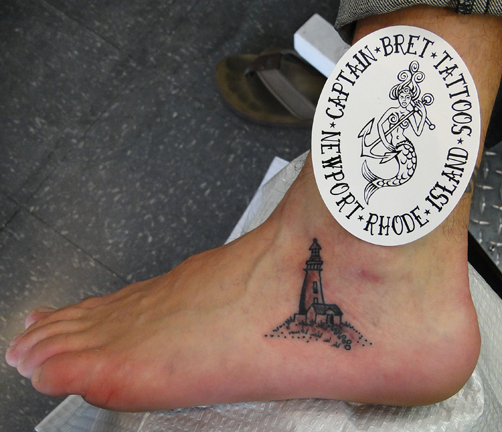 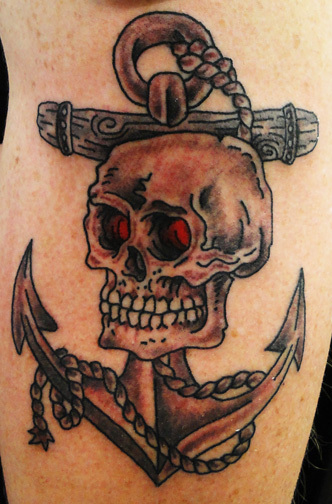 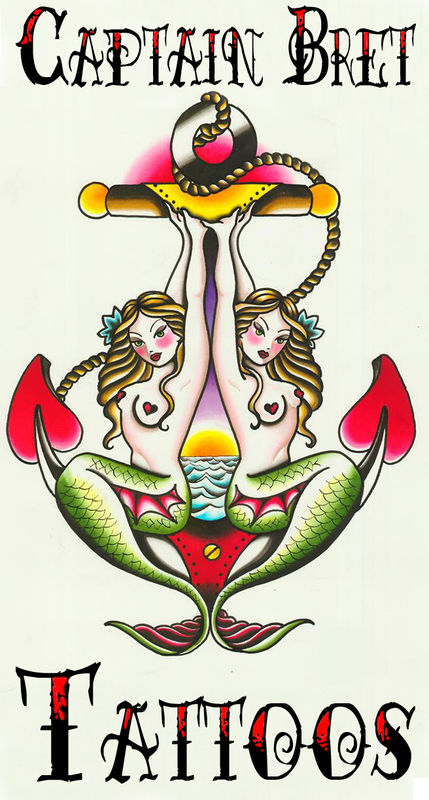 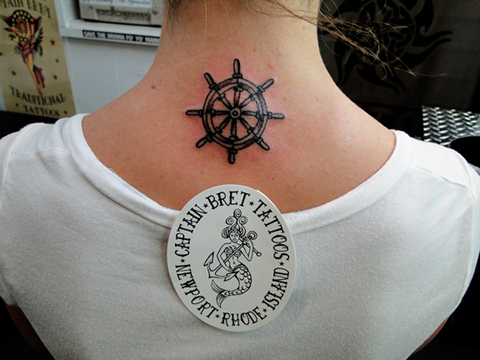 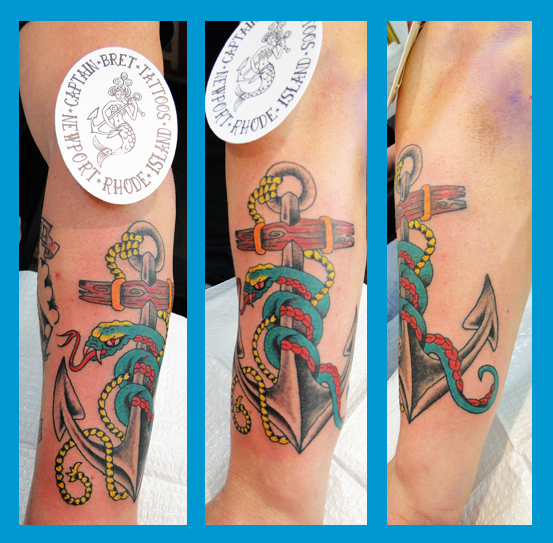 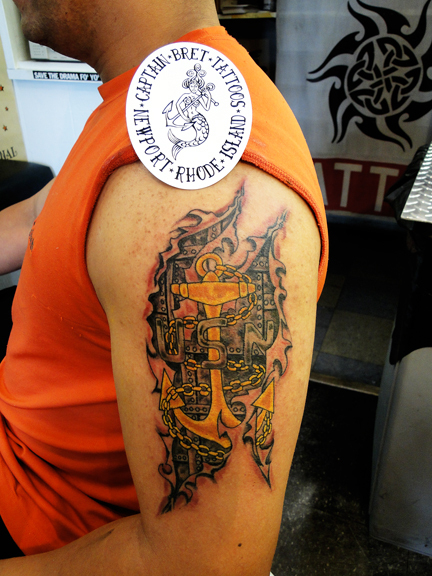 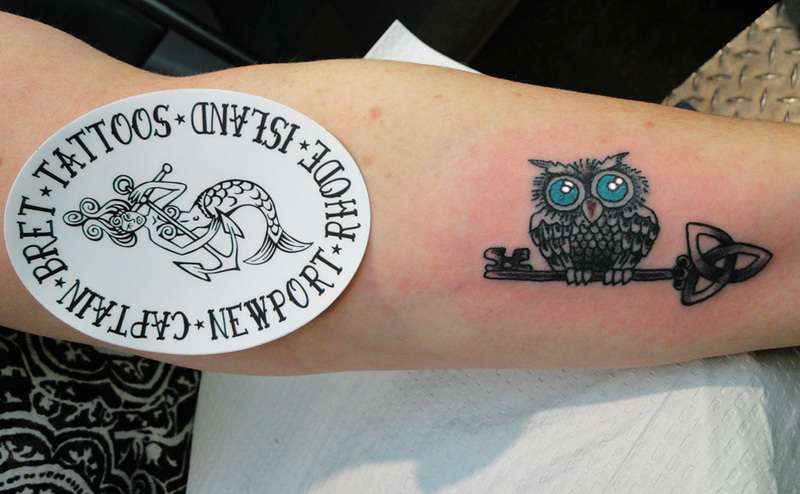 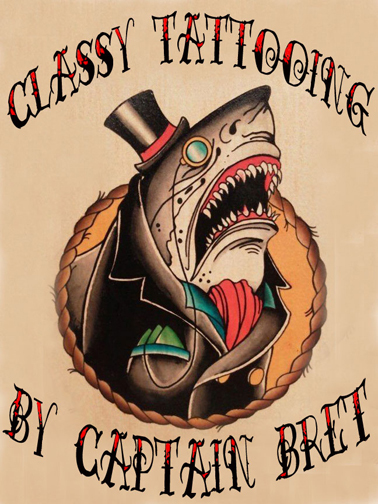 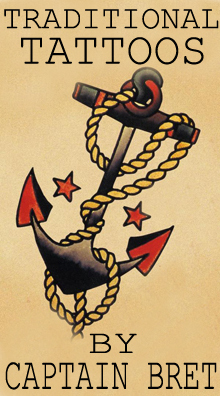 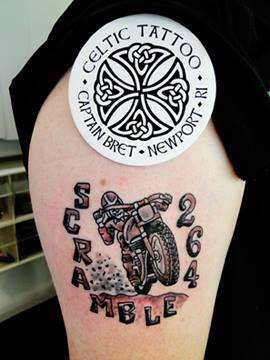 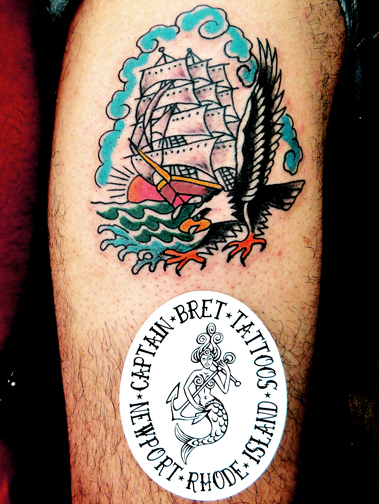 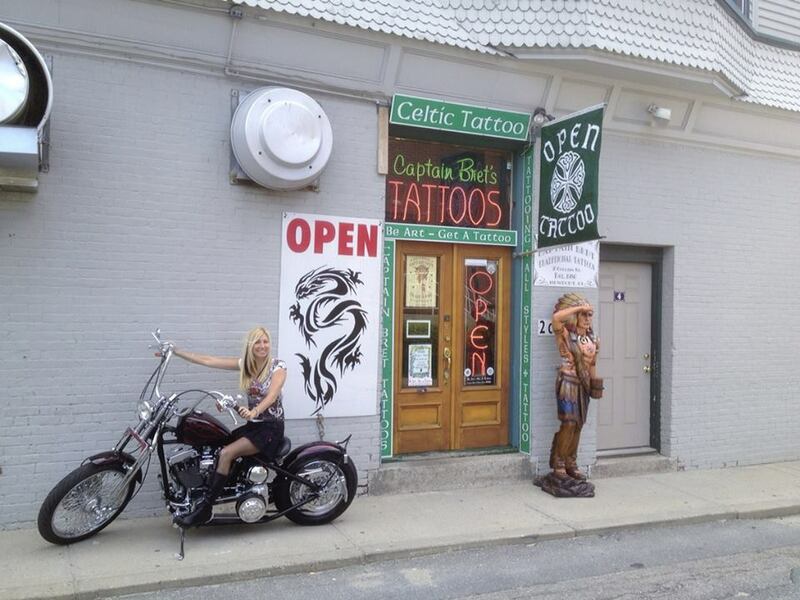 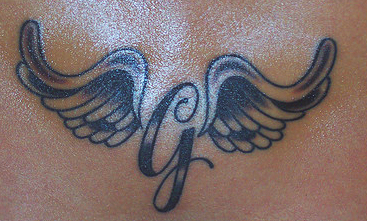 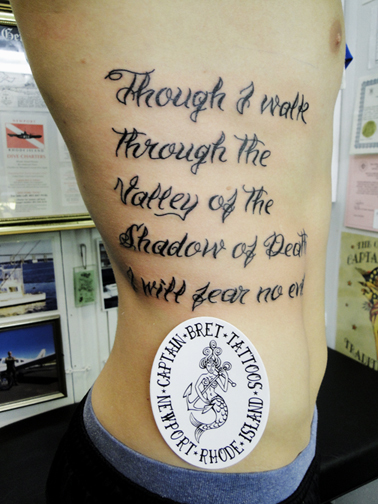 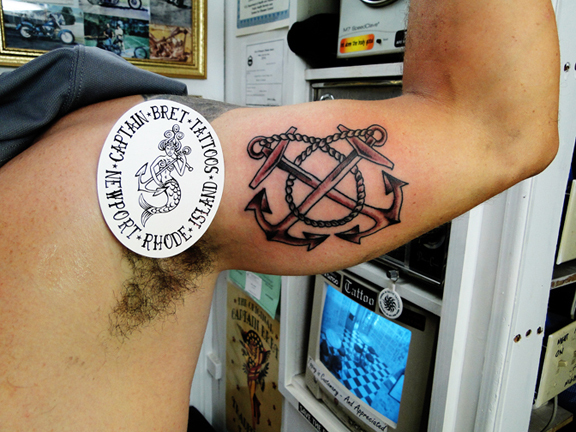 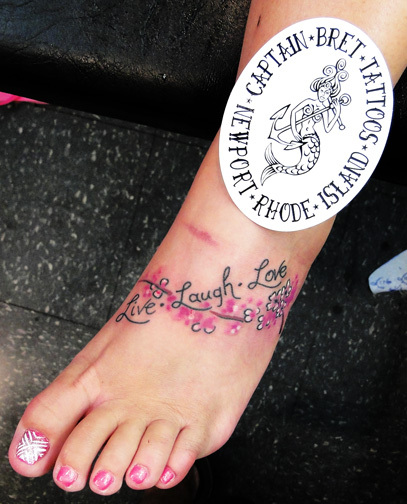 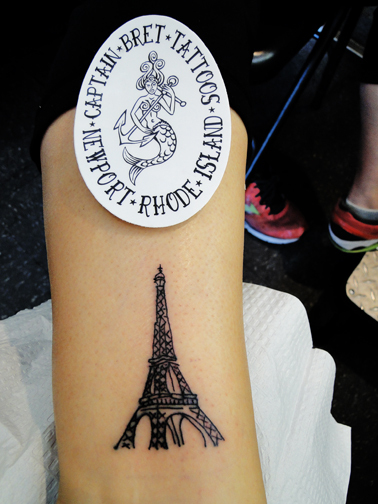 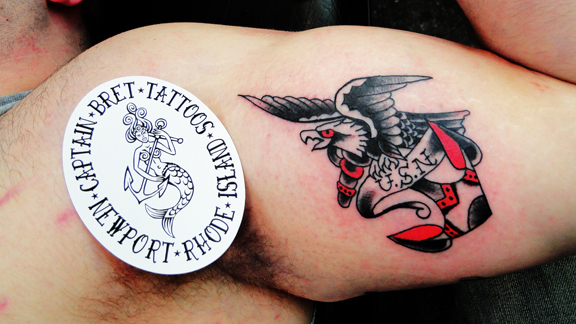 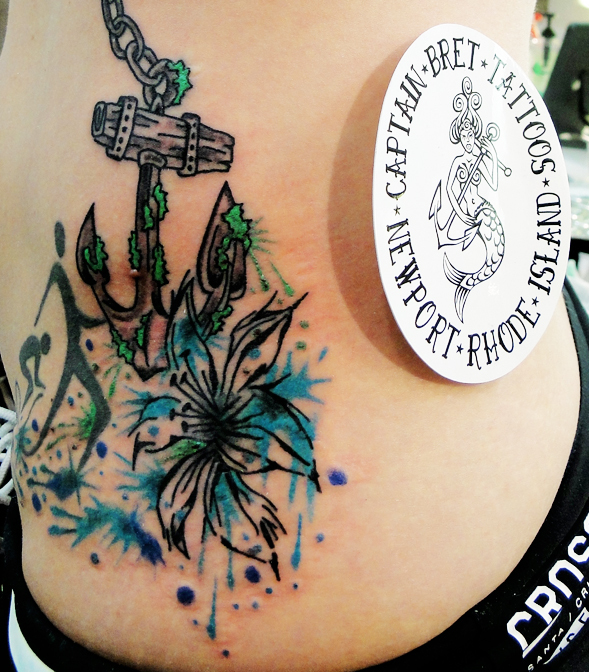 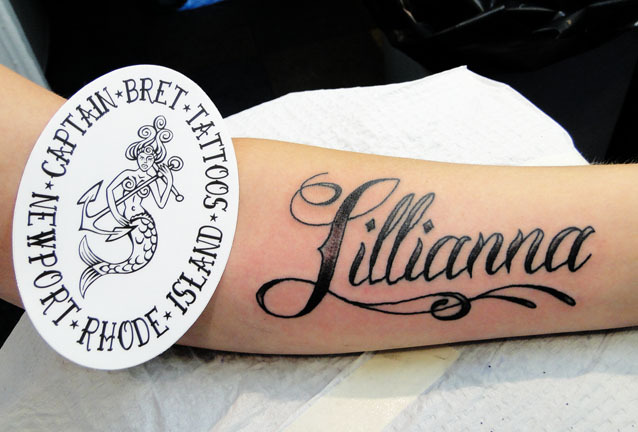 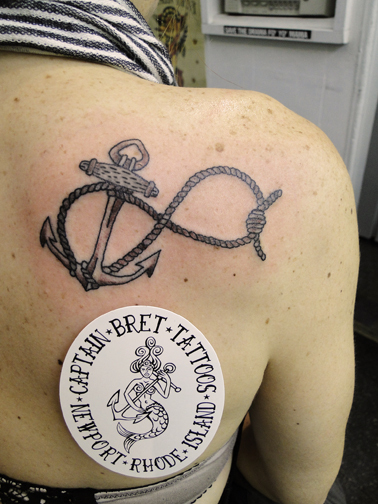 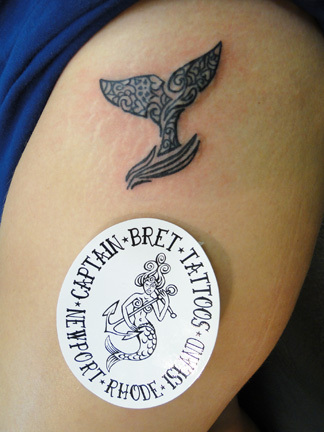 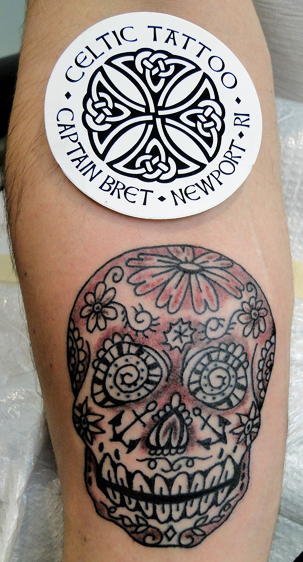 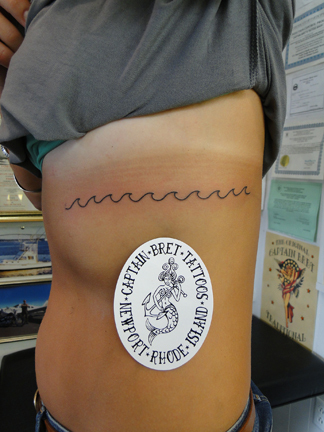 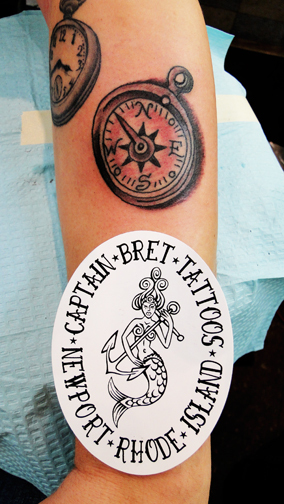 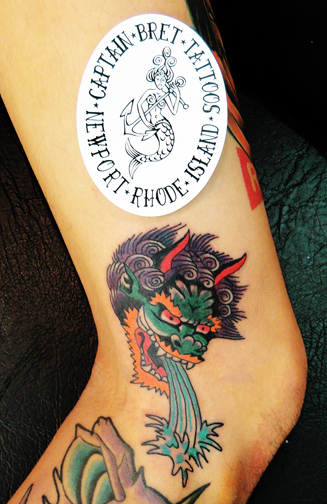 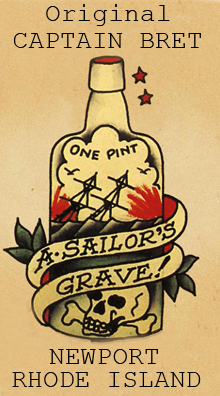 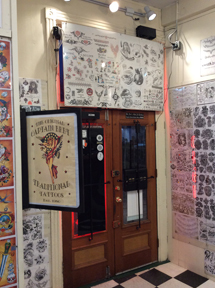 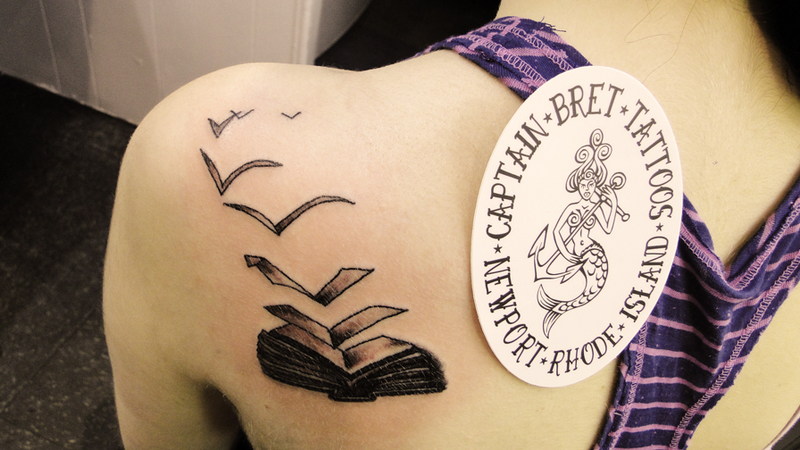 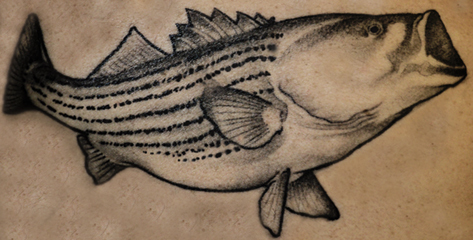 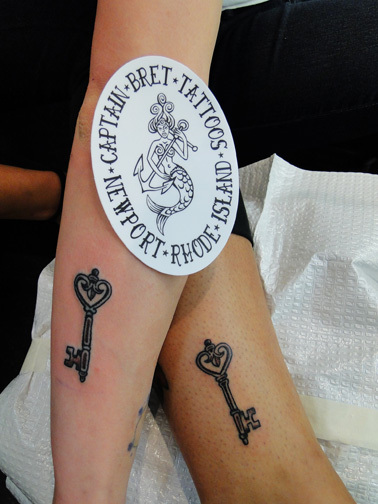 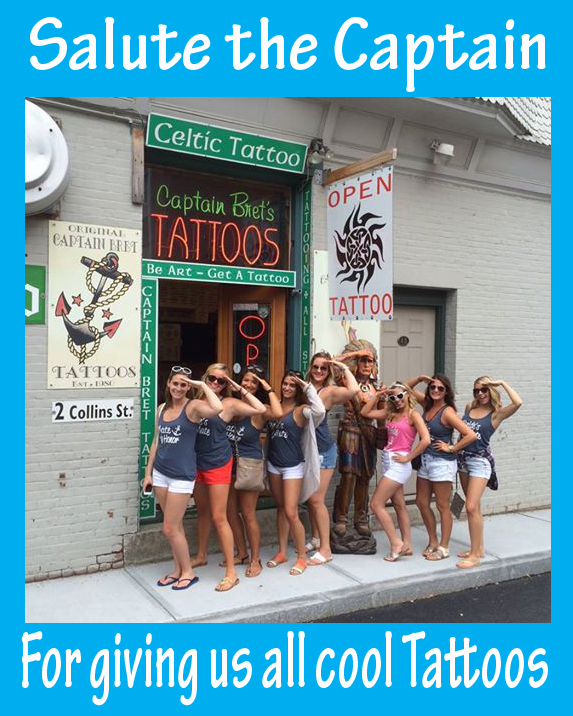 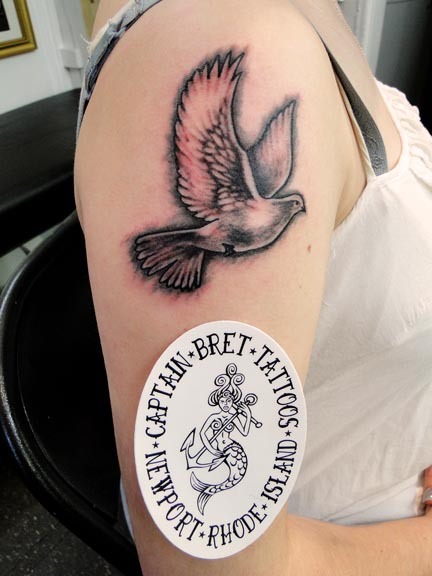 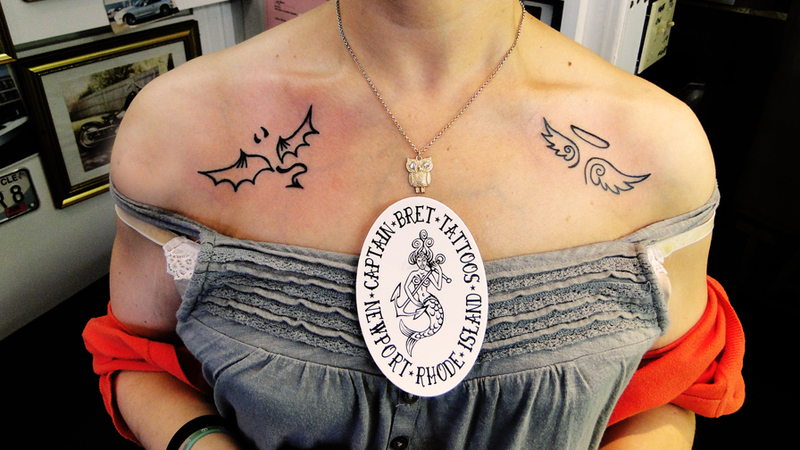 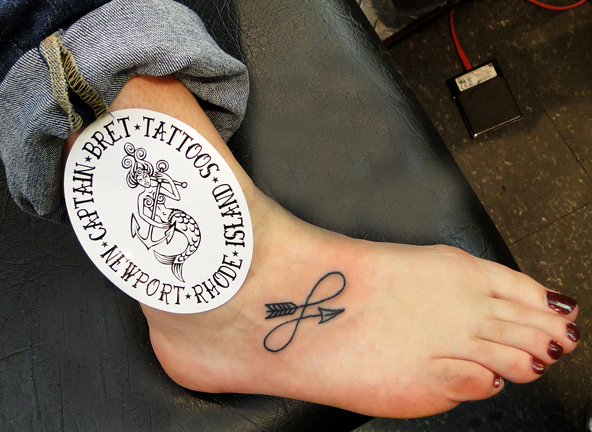 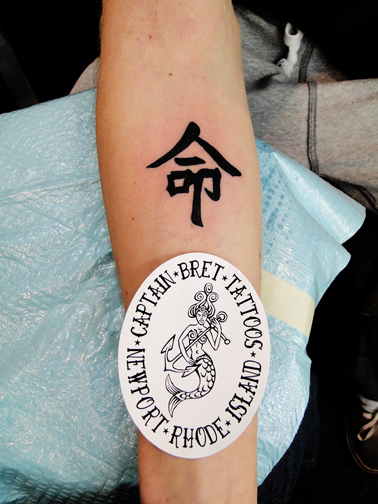 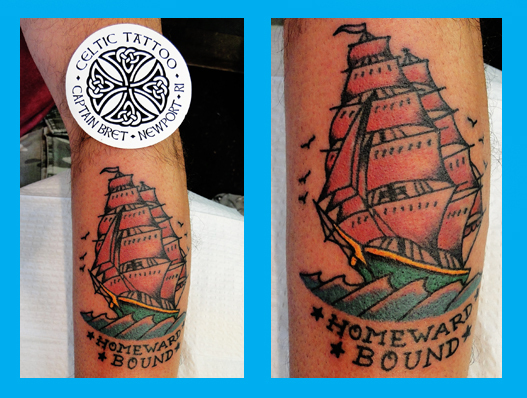 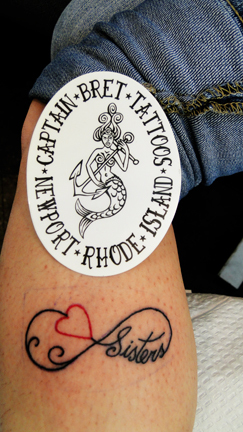 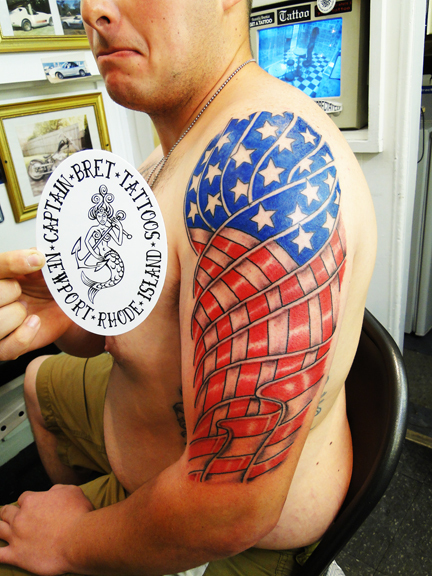 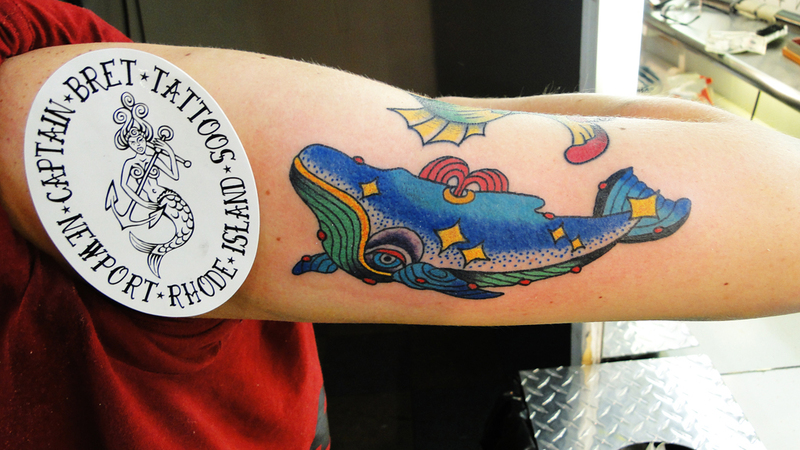 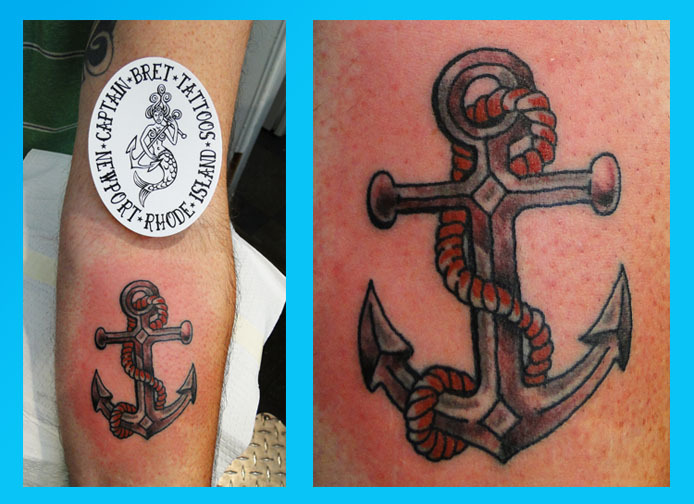 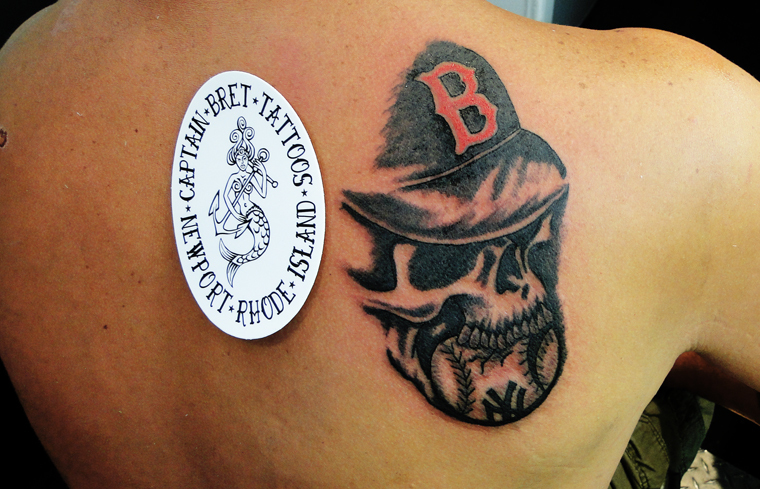 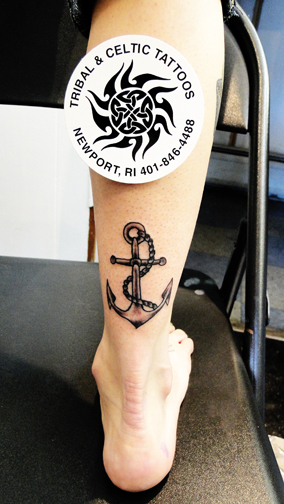 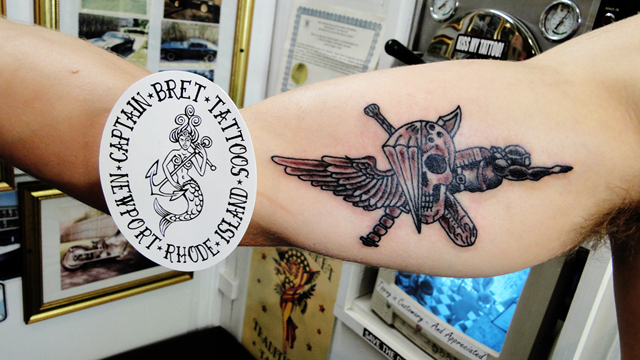 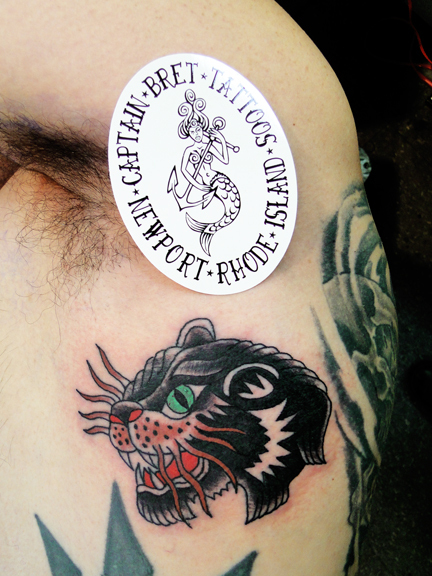 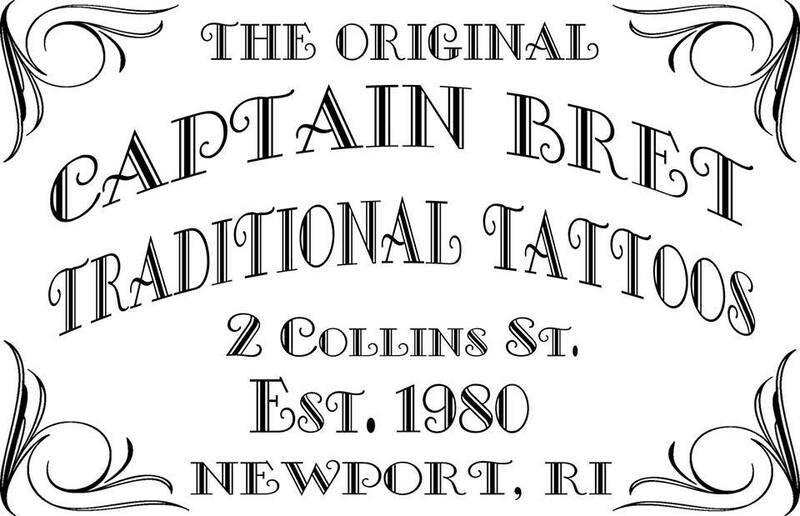 Tattoo photography page of Captain Bret's Tattoo shop, Newport, RI showing Pictures of Unique Custom drawn Miscellaneous Tattoos, Traditional American Styled Tattoos, Sailor Jerry style, Custom Lettering and calligraphy. 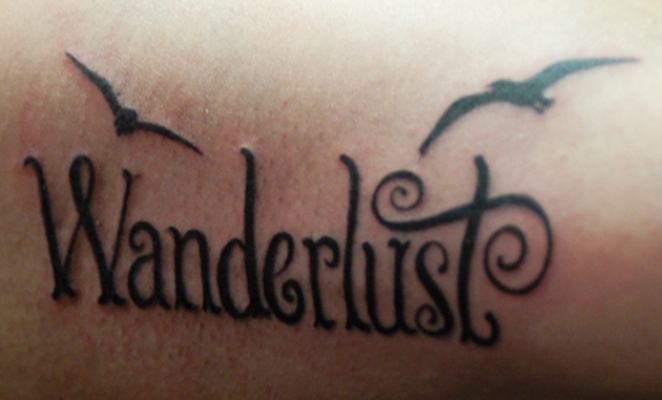 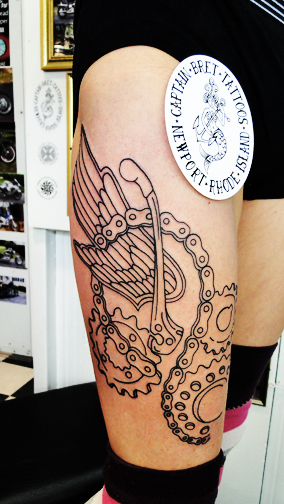 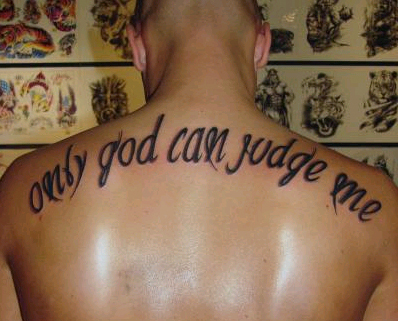 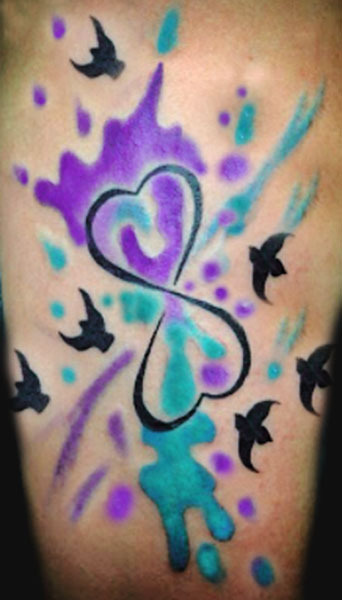 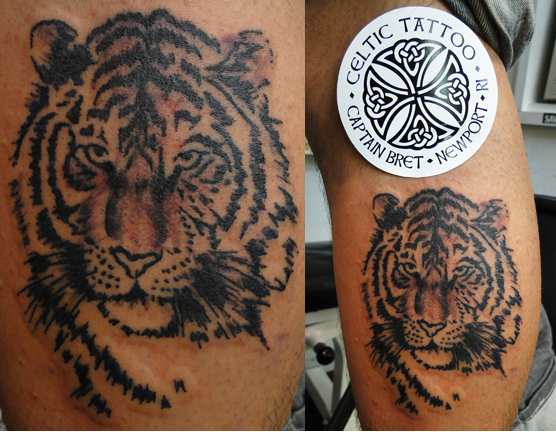 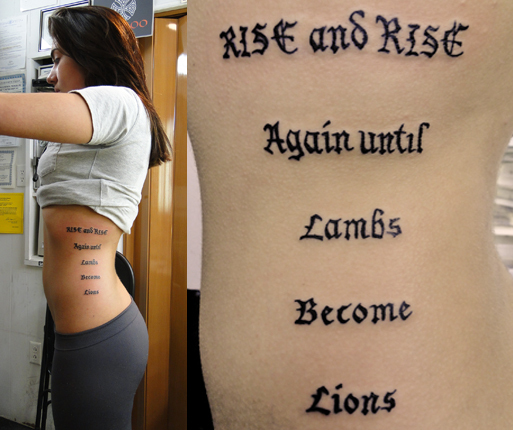 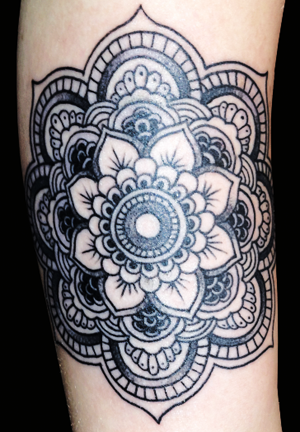 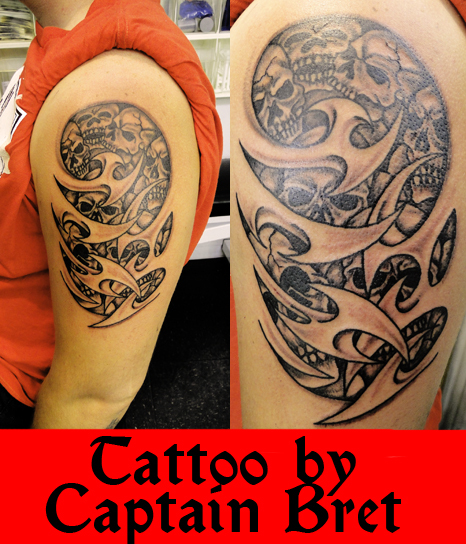 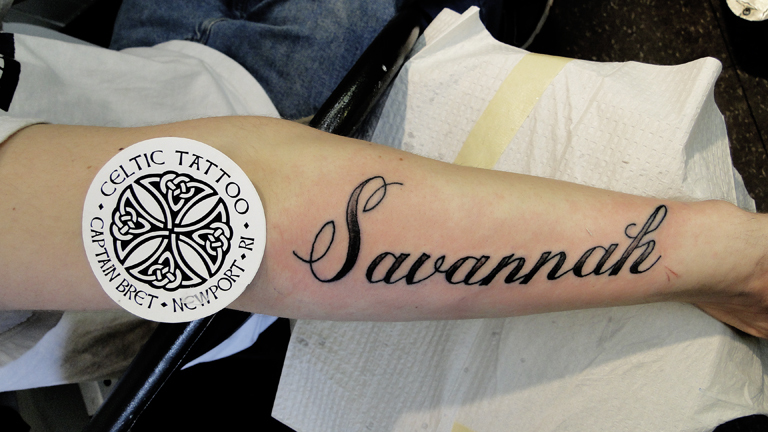 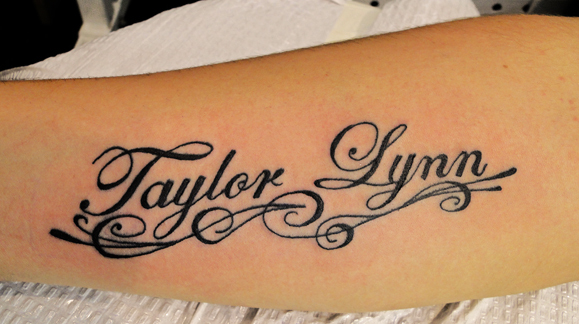 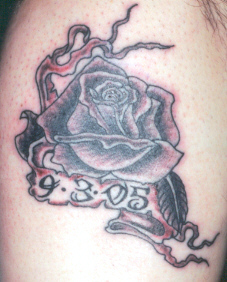 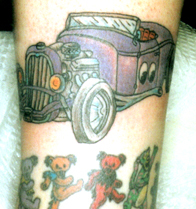 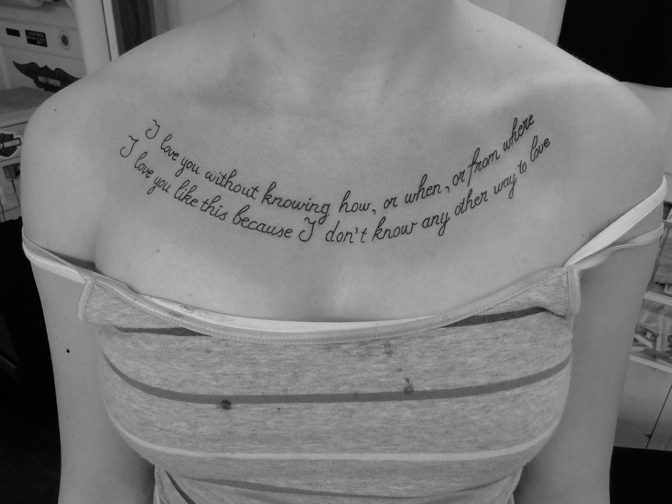 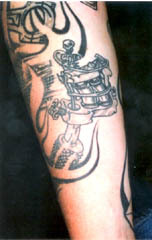 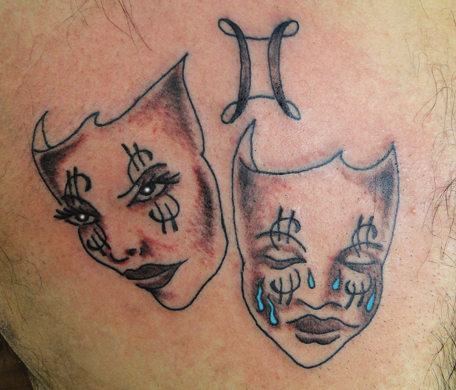 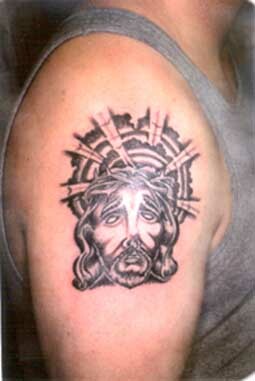 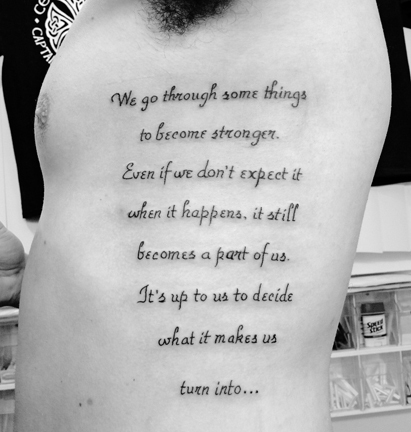 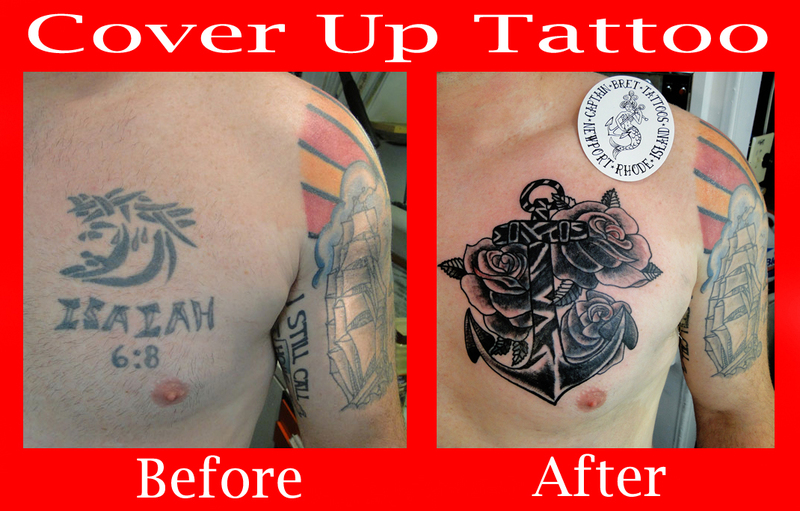 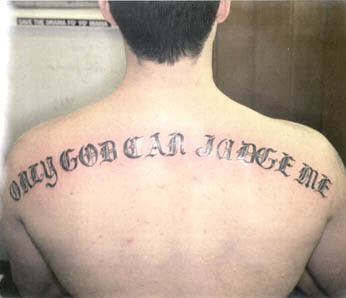 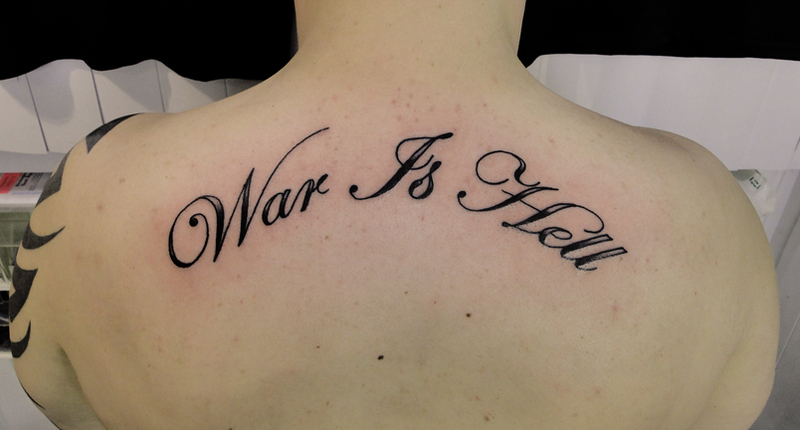 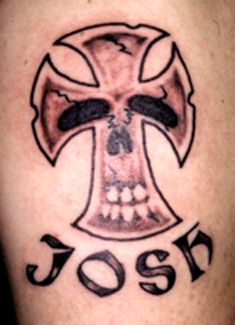 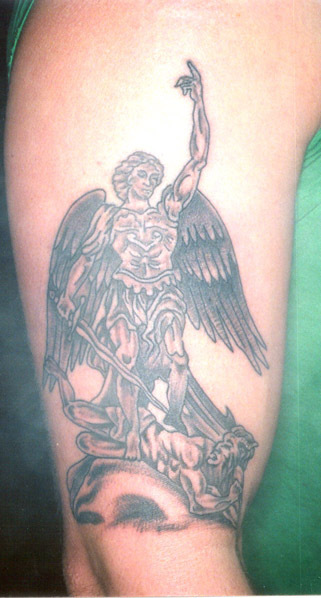 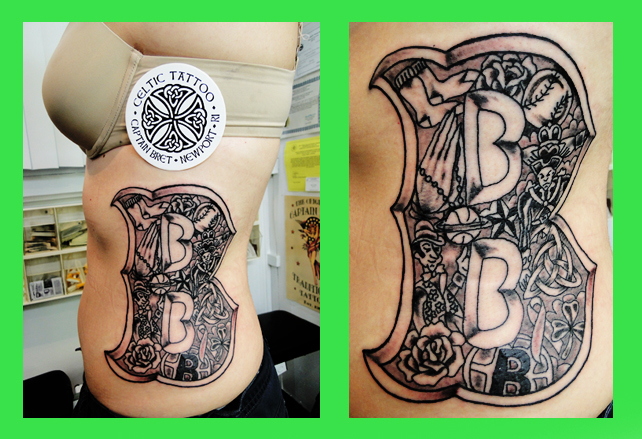 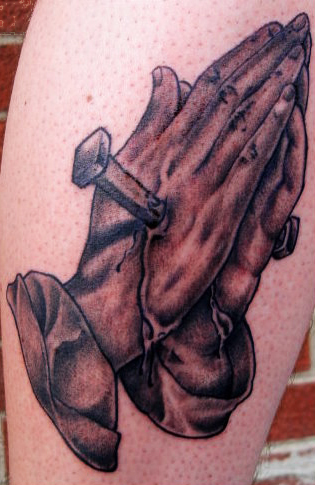 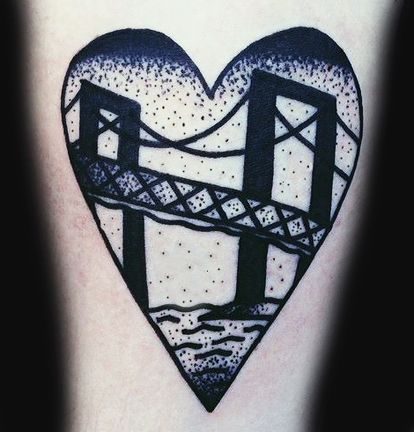 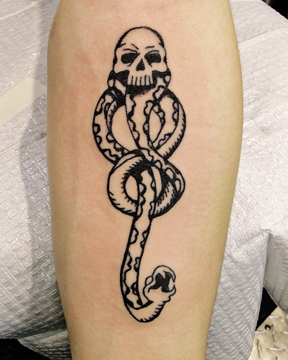 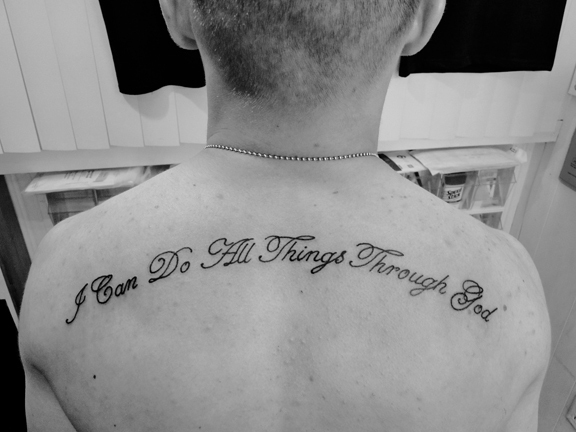 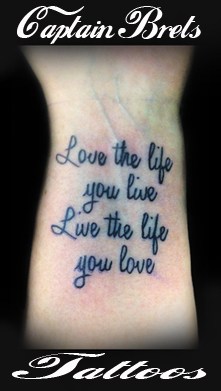 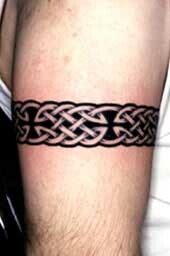 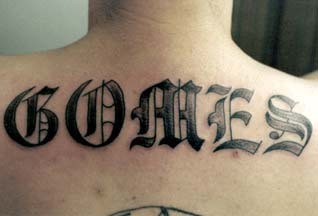 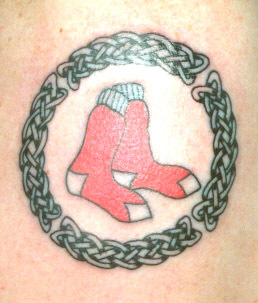 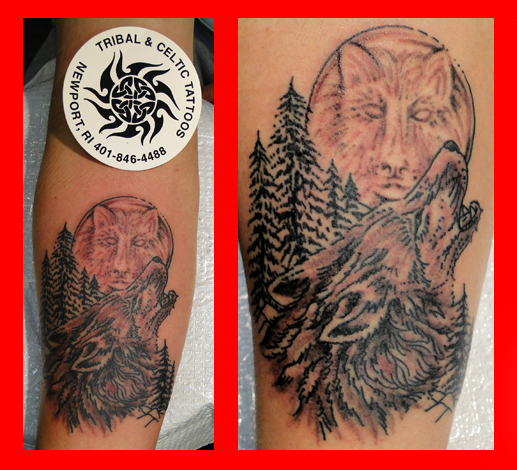 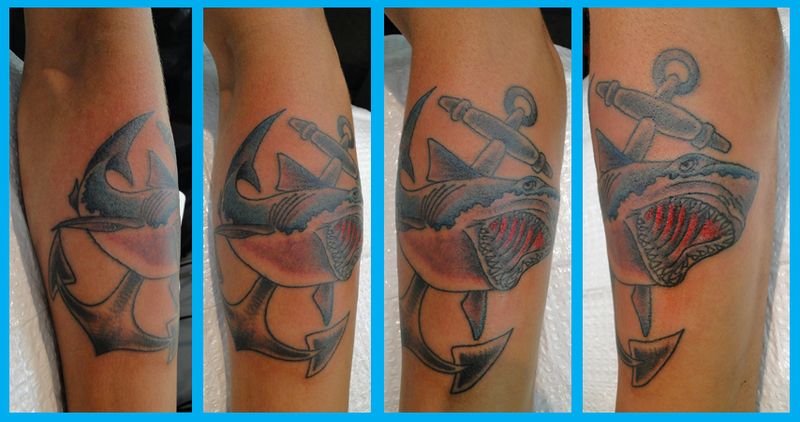 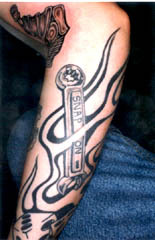 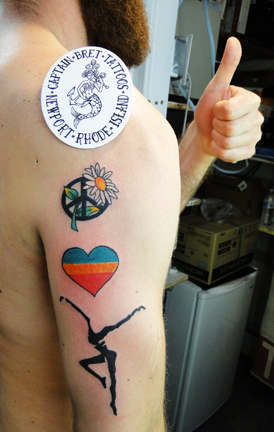 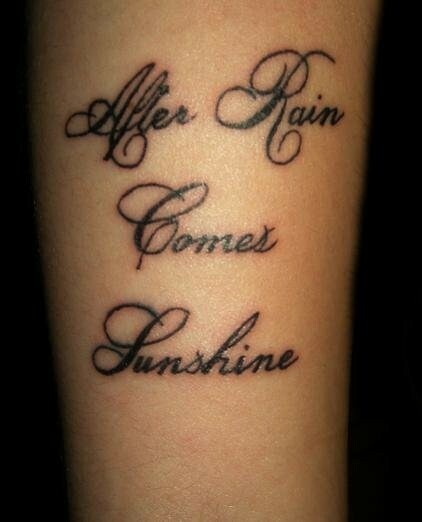 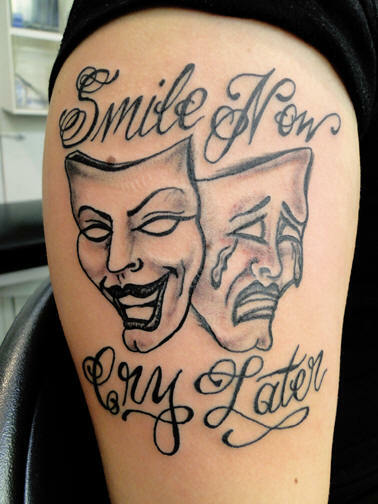 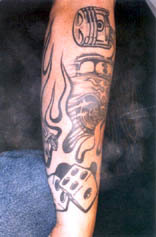 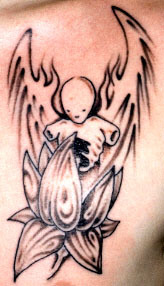 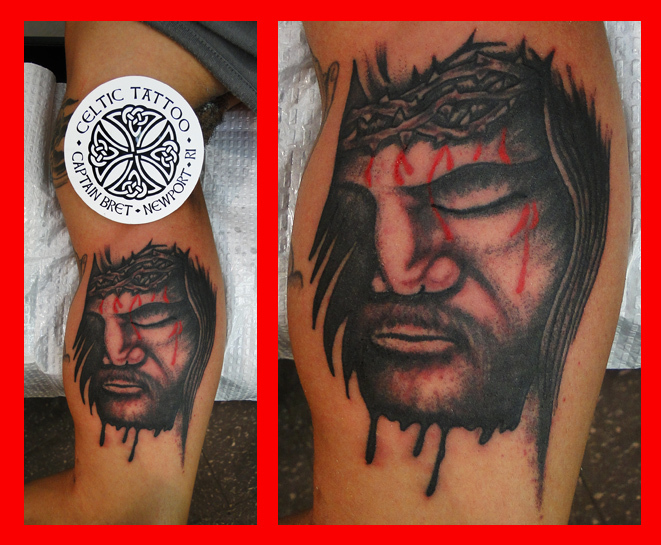 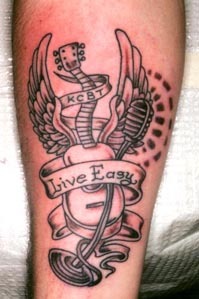 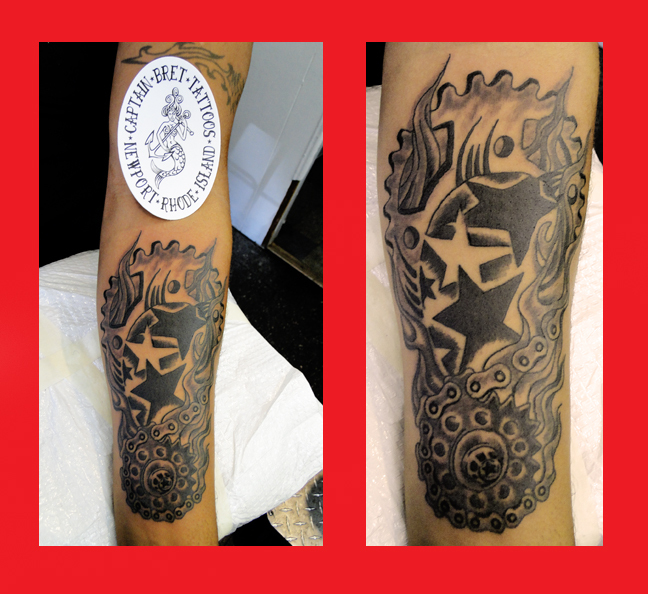 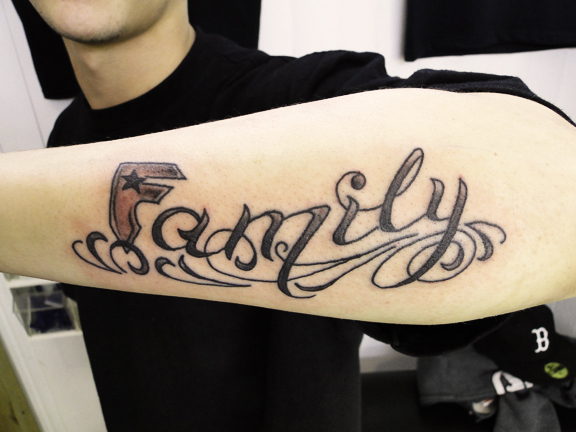 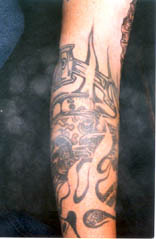 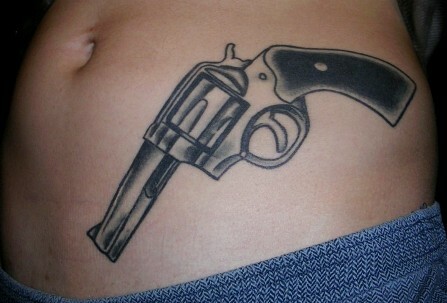 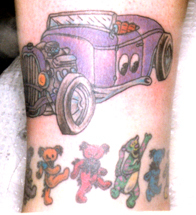 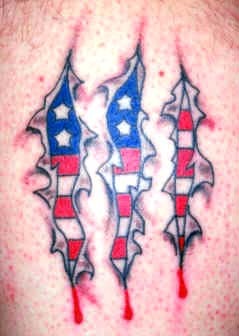 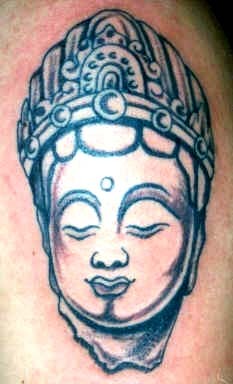 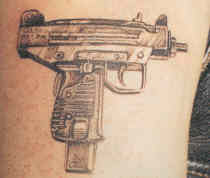 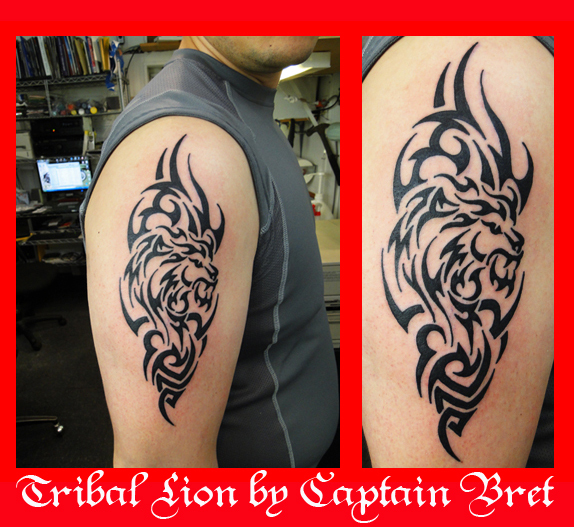 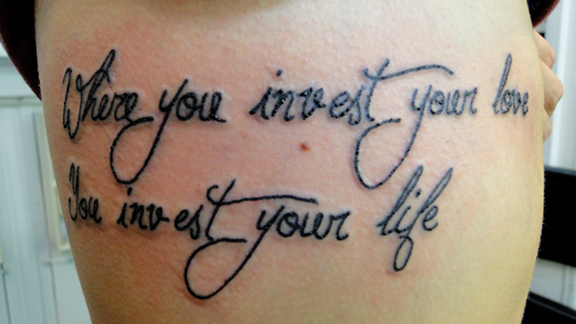 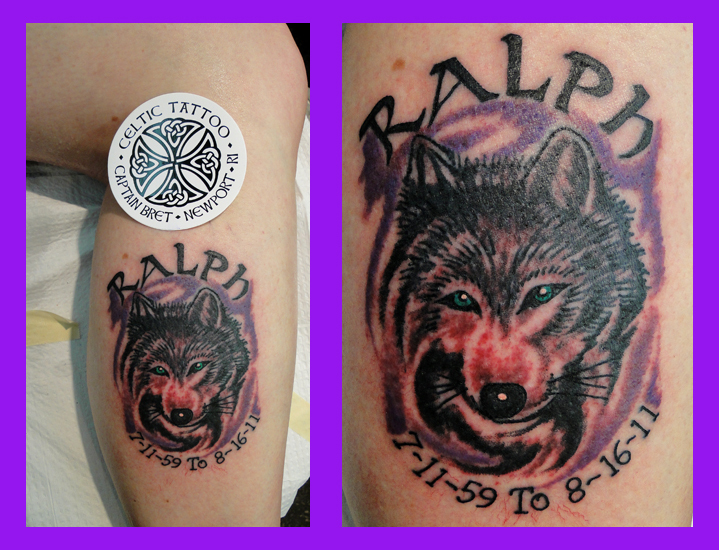 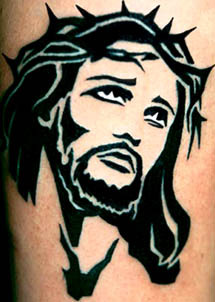 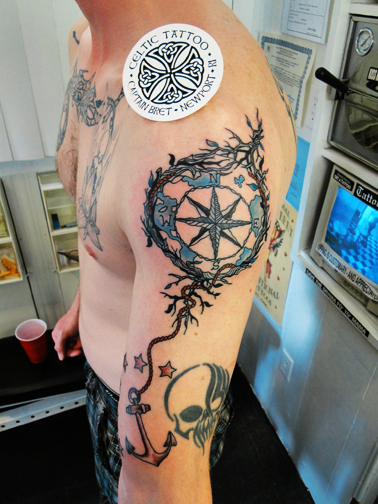 Also black and grey work, and super colored custom Tattoos. 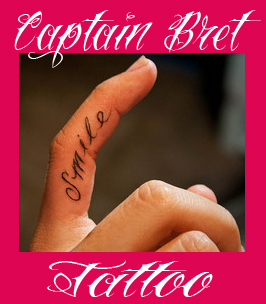 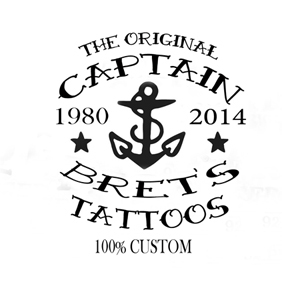 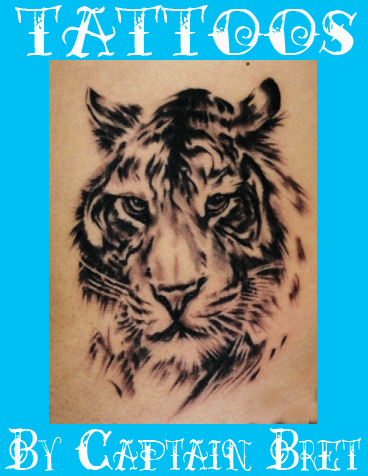 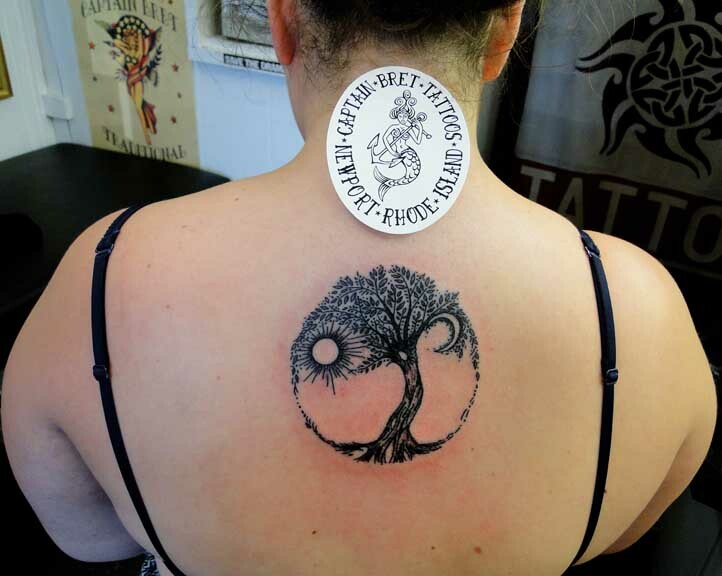 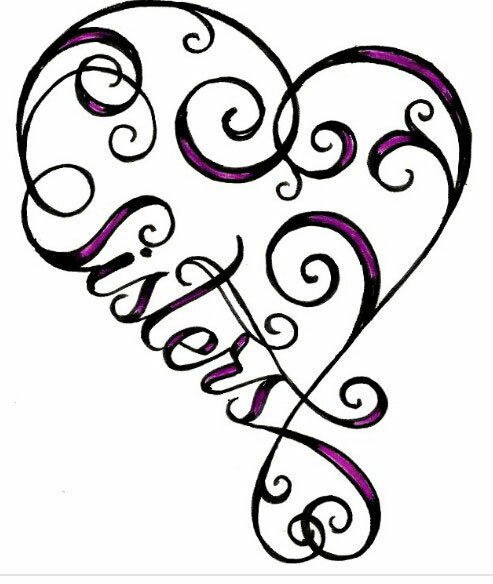 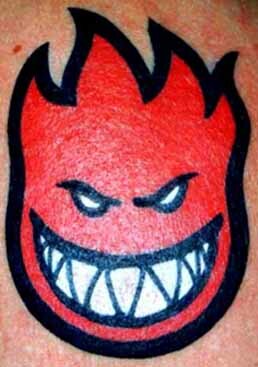 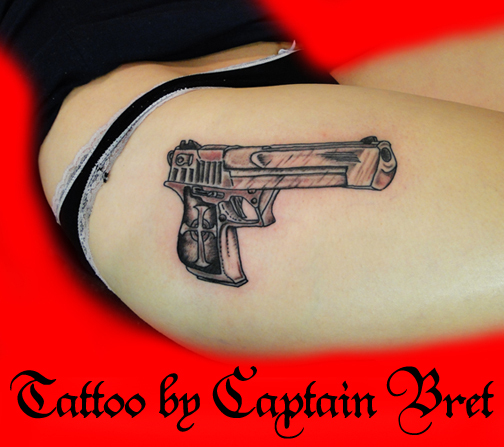 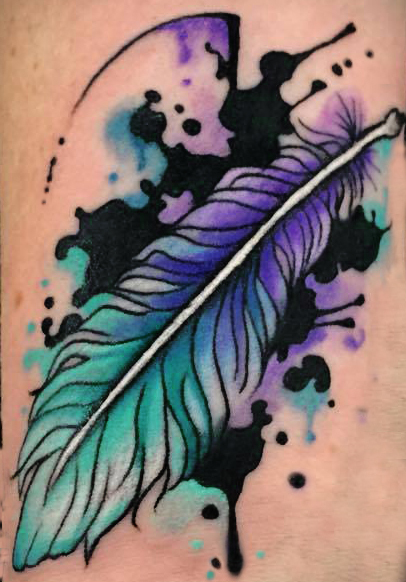 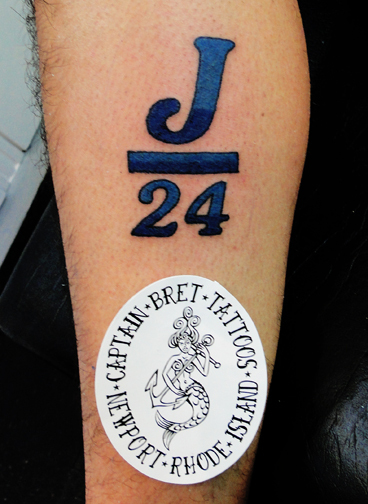 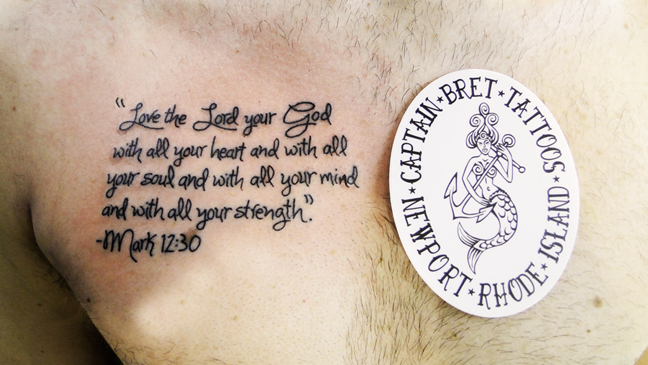 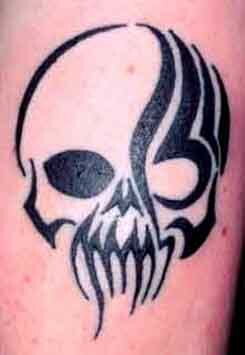 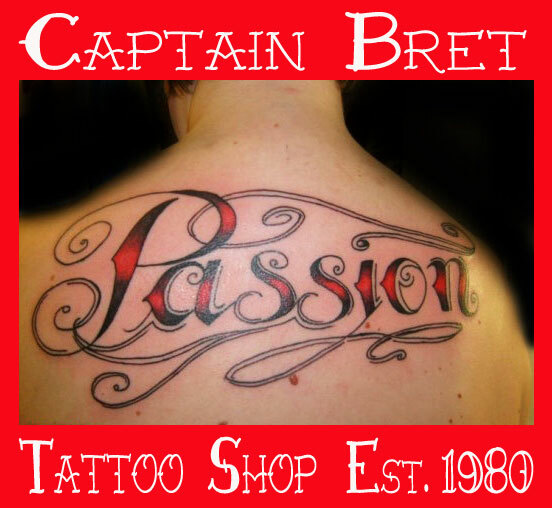 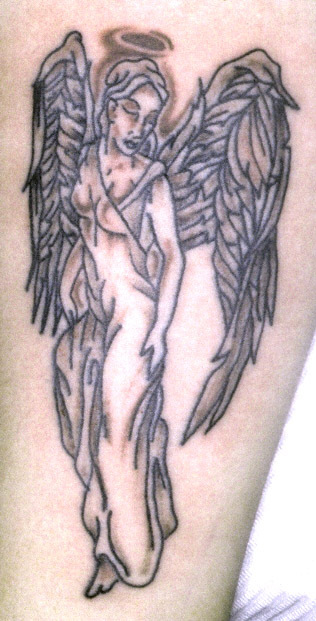 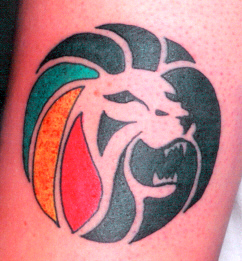 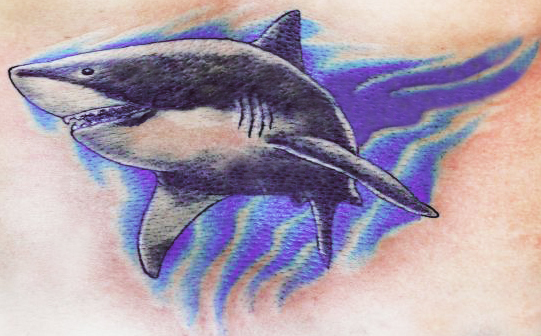 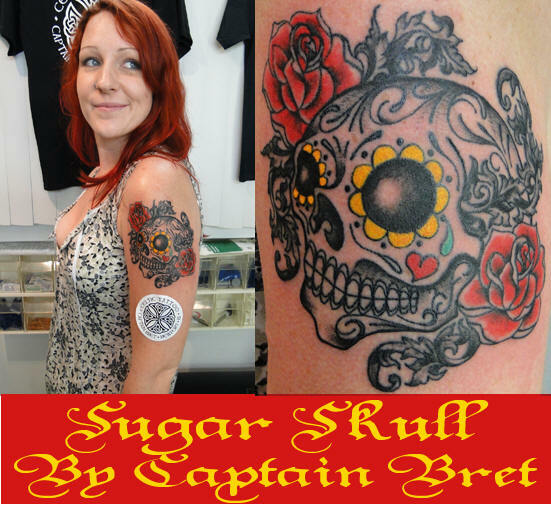 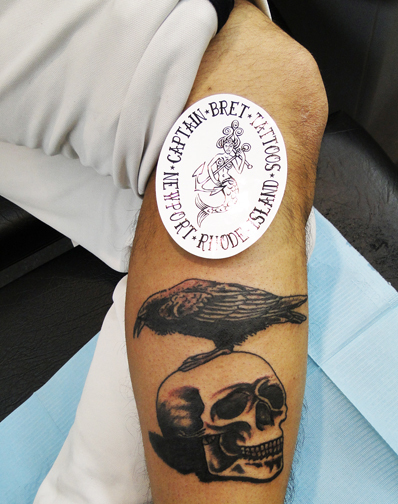 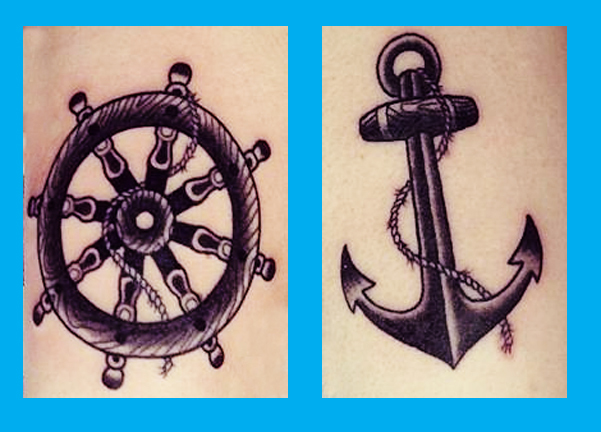 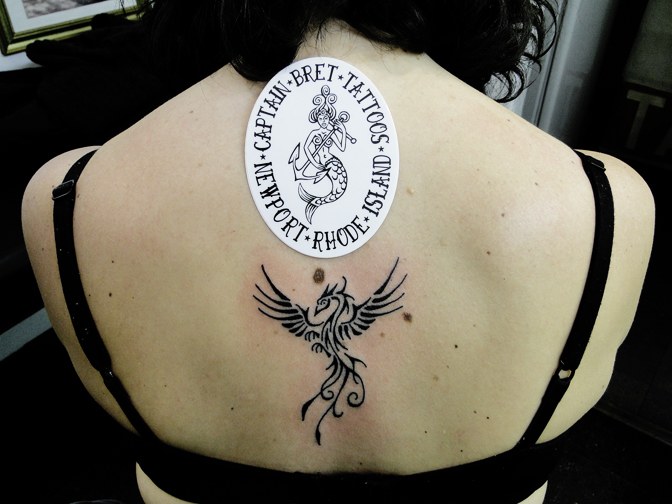 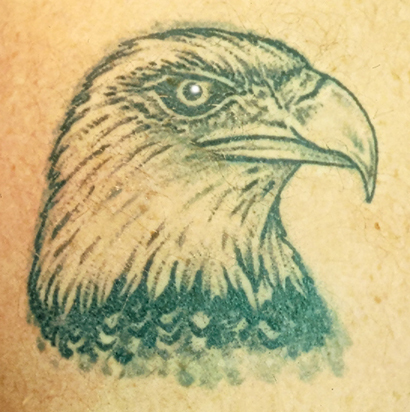 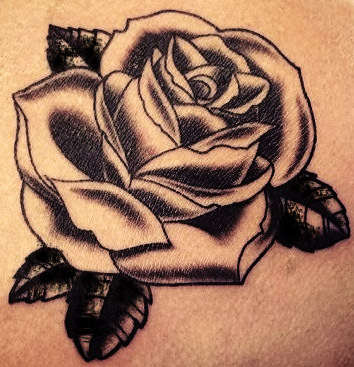 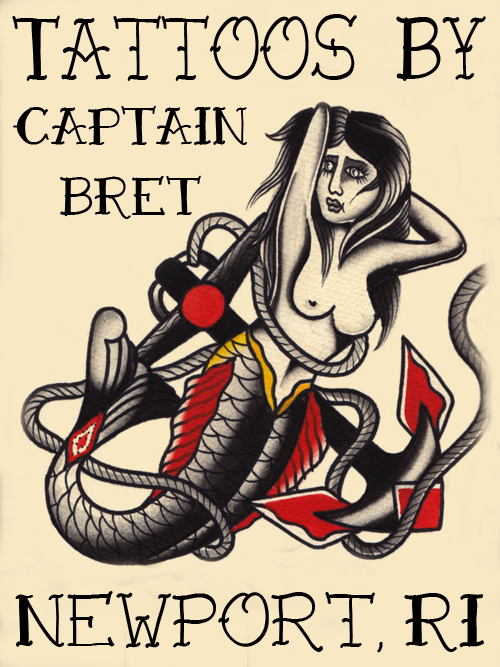 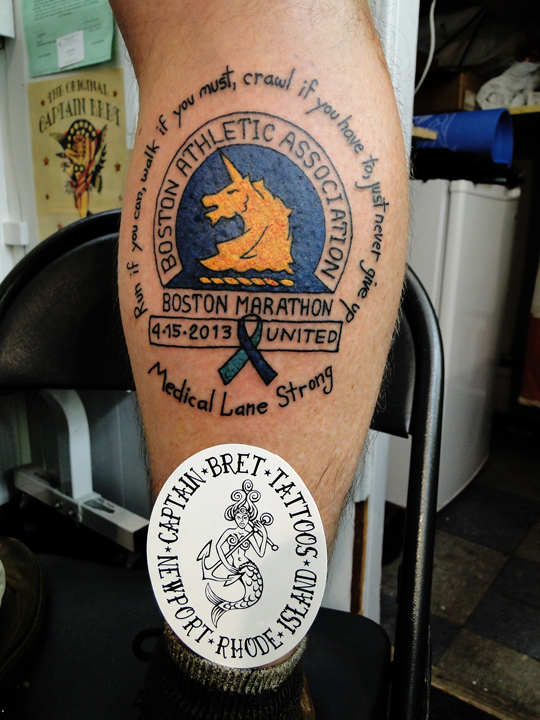 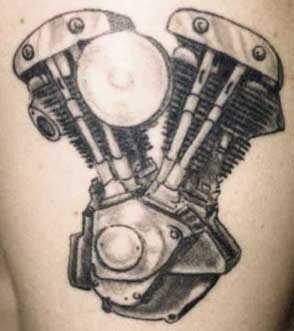 These designs, pictures, Photographs, JPG,s,Gifs, files, logos, Tattoos, images, content are used exclusively by Captain Bret's Tattoo Shop Inc. and represents our company, they are our intellectual property © 1981 All rights reserved.